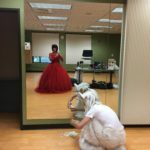 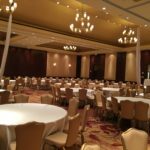 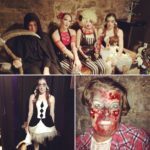 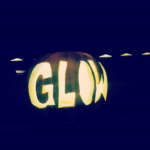 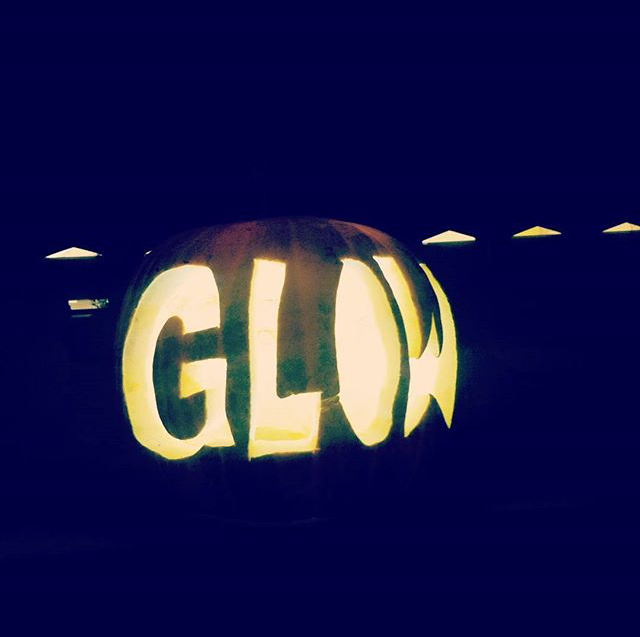 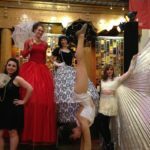 Browse this list of events featuring performances by Katie Mesmerie and Mesmerie Entertainment LLC. 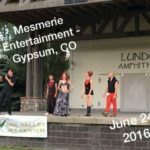 Upcoming events and special performances are featured on the Mesmerie Entertainment LLC Facebook page. 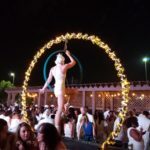 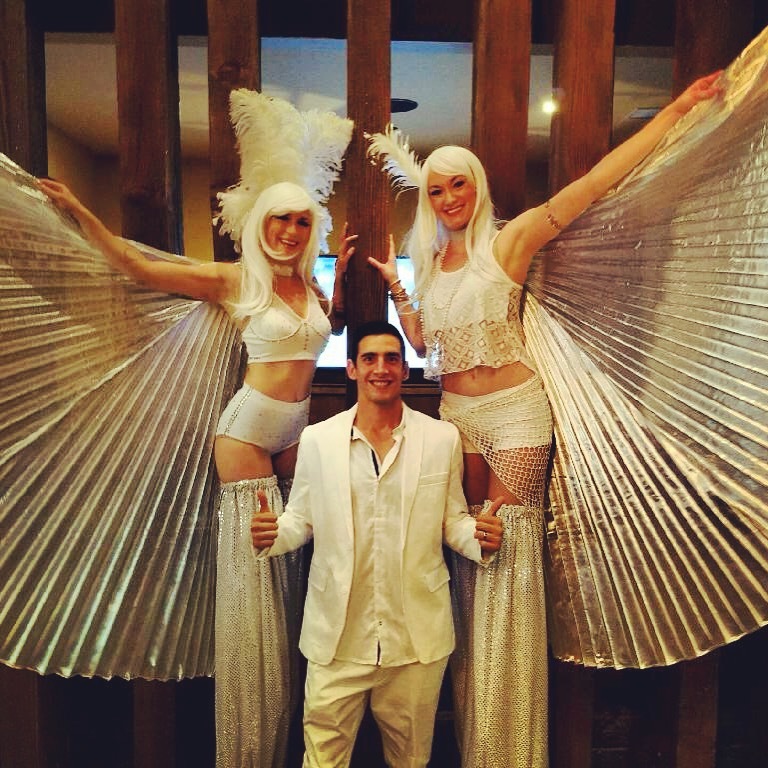 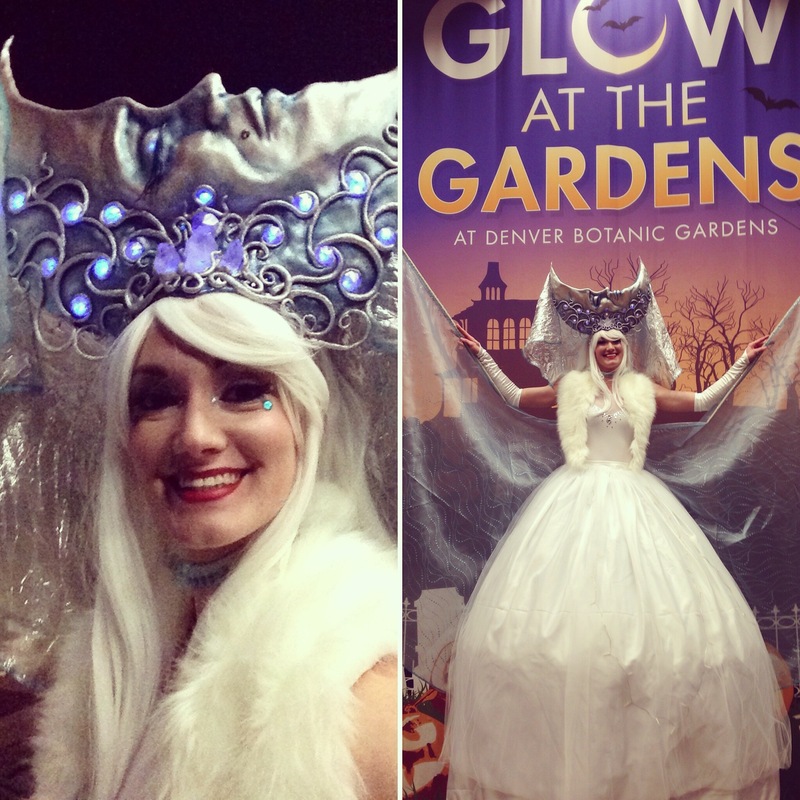 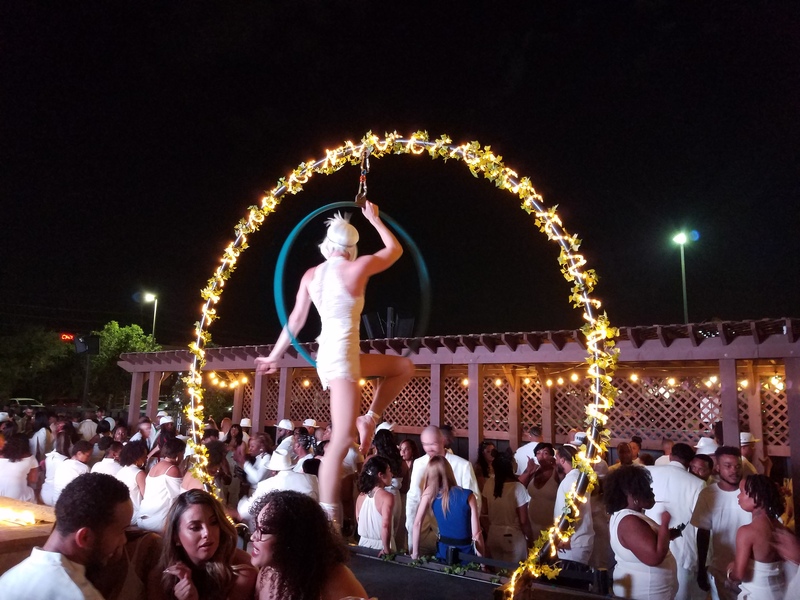 9/3/2017 White Party 2017 The Viewhouse - Centennial, CO Mesmerie Entertainment joined Team EZ Performing Arts to bring their light-up aerial rig, aerial lyra performer, and stilt walking performers to The Viewhouse Centennial's annual "White Party"
3/3/2017 Sawdust Circus Cabaret MOTH Circus - Denver, CO Katie Mesmerie and Bayard Wenzel performed their aerial straps duet, "Madness," for MOTH Circus's First Friday cabaret "Sawdust"
2/3/2017 Cajun Carnival Denver Botanic Gardens - Denver, CO Katie Mesmerie danced through the Denver Botanic Gardens on stilts for this Mardi Gras themed "Cajun Carnival"
12/31/2016 Decadence NYE Colorado Convention Center - Denver, CO Katie Mesmerie stilt walked and performed aerial silks for Team EZ / Triad Dragons at Colorado's premier NYE event! 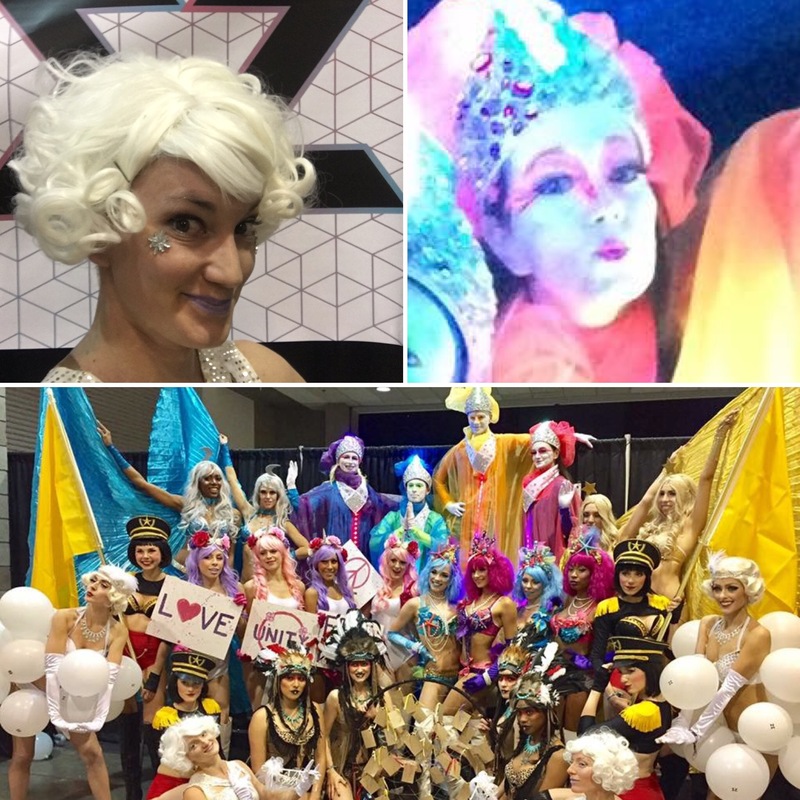 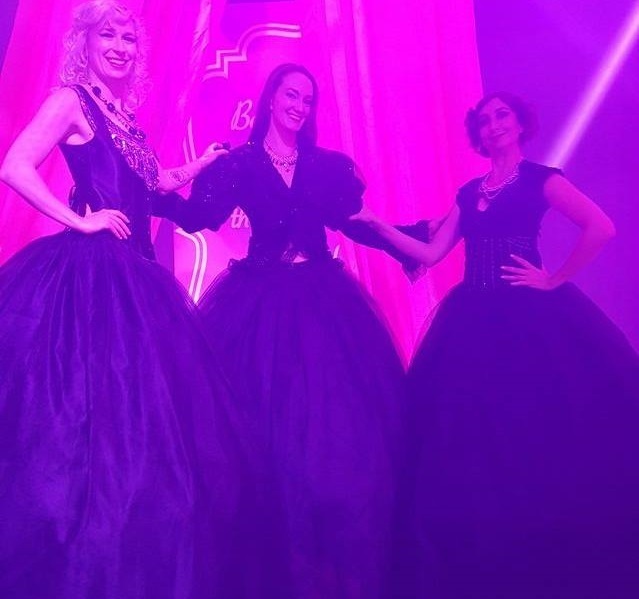 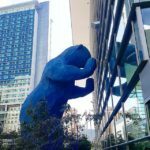 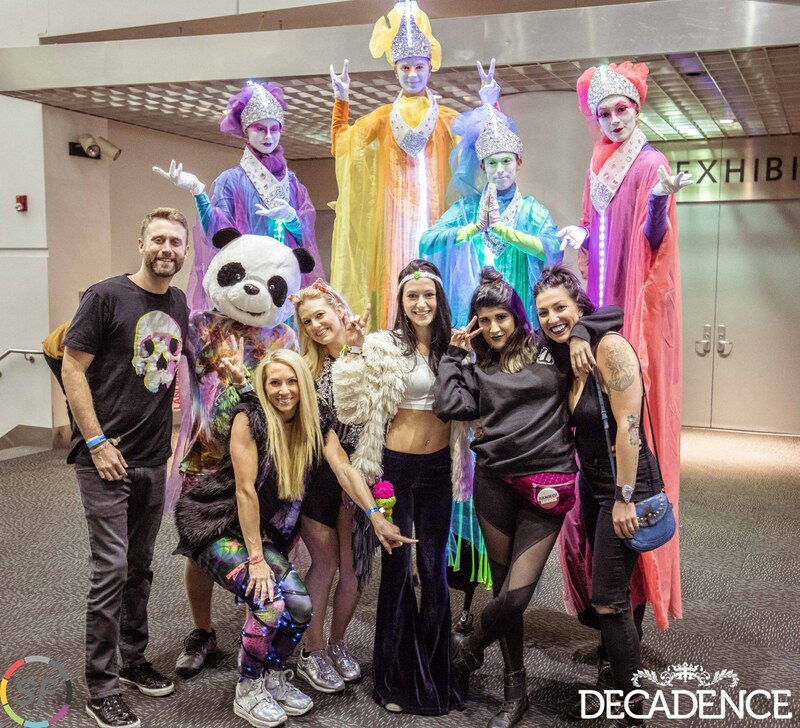 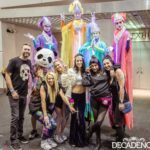 12/30/2016 Decadence NYE Colorado Convention Center - Denver, CO Katie Mesmerie stilt walked for Team EZ / Triad Dragons at Colorado's premier NYE event! 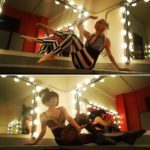 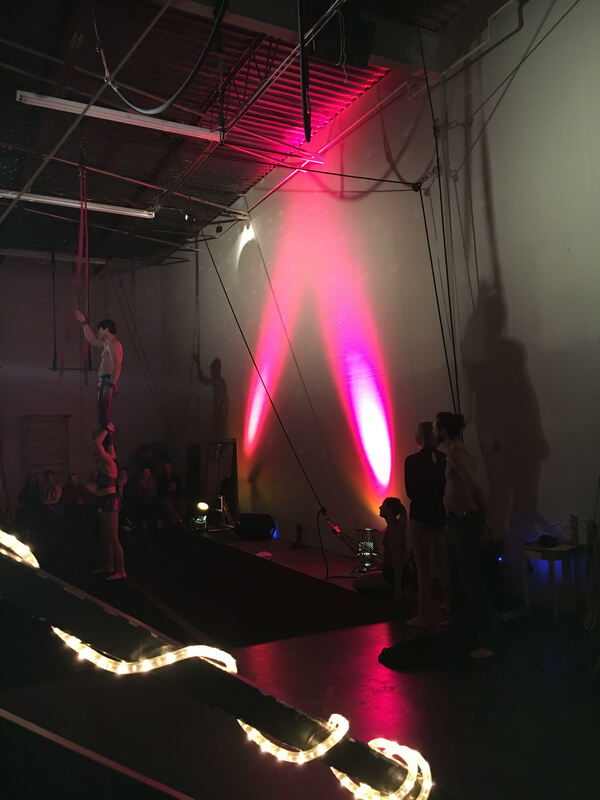 11/12/2016 "Kalopsia" Esme Dance Company Show Cleo Parker Robinson Dance - Denver, CO Staza Stone and Katie Mesmerie added some circus flair with a hula hoop act and aerial fabric act for Esme Dance Company's show "Kalopsia"
11/11/2016 "Kalopsia" Esme Dance Company Show Cleo Parker Robinson Dance - Denver, CO Staza Stone and Katie Mesmerie added some circus flair with a hula hoop act and aerial fabric act for Esme Dance Company's show "Kalopsia"
10/14/2016 Wonderbound Ballet "A Gothic Folktale" Opening Night Pinnacle Charter School Performing Arts Center - Thornton, CO Duplikate stilt walkers Staza Stone and Katie Mesmerie dressed in "Night Circus" theme for opening night of Wonderbound Ballet's Fall 2016 production, "A Gothic Folktale"
9/4/2016 White Party 2016 The Viewhouse - Centennial, CO Mesmerie Entertainment paired up with Team EZ to provide interactive stilt walkers for The Viewhouse's annual "White Party"
8/5/2016 "Road to Rio" 2016 Olympics Party Lannie's Clocktower Cabaret - Denver, CO Katie Mesmerie participated with Bella Diva Dance in the "Road to Rio" 2016 Olympics themed show at Lannie's Clocktower Cabaret with the debut performance of her aerial straps act "Chariots of Fire"
6/18/2016 Denver PrideFest 2016 Main Stage Civic Center Park - Denver, CO Katie Mesmerie and the Kaleidoscope Circus Arts fire performance troupe brought new choreographed group fire dances to the Denver PrideFest Main Stage for the second year! 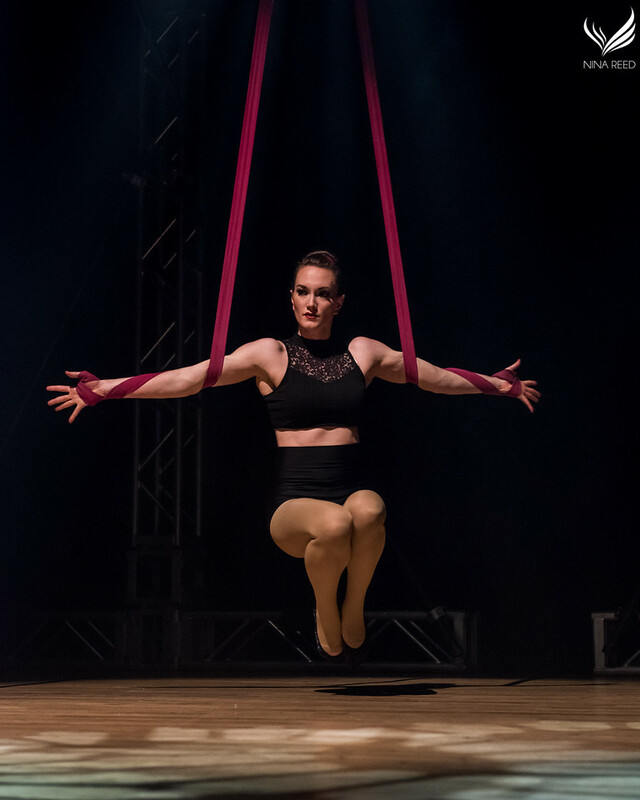 5/21/2016 Fourth Annual Colorado Pole Championships Boulder Theater - Boulder, CO Katie Mesmerie took the stage at the historic Boulder Theater to open the Fourth Annual Colorado Pole Championship with her aerial straps act "Tesselate"
12/18/2015 Corporate Holiday Party (private event) Southern Hills Country Club - Tulsa, OK Mesmerie Entertainment traveled cross-country, bringing five talented ladies to perform aerial hoop, stilt walking, contortion, fire breathing, LED hula hoop, fire hula hoop, and more! 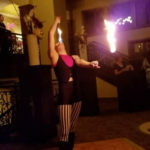 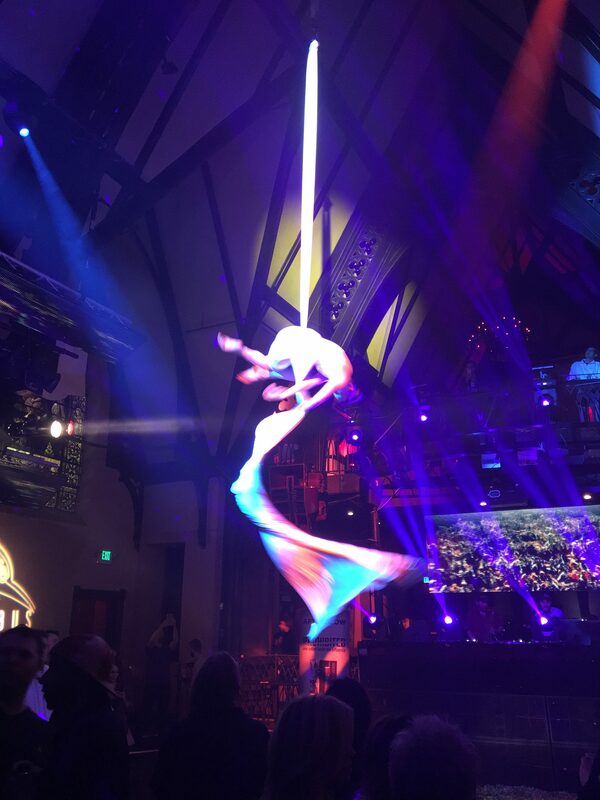 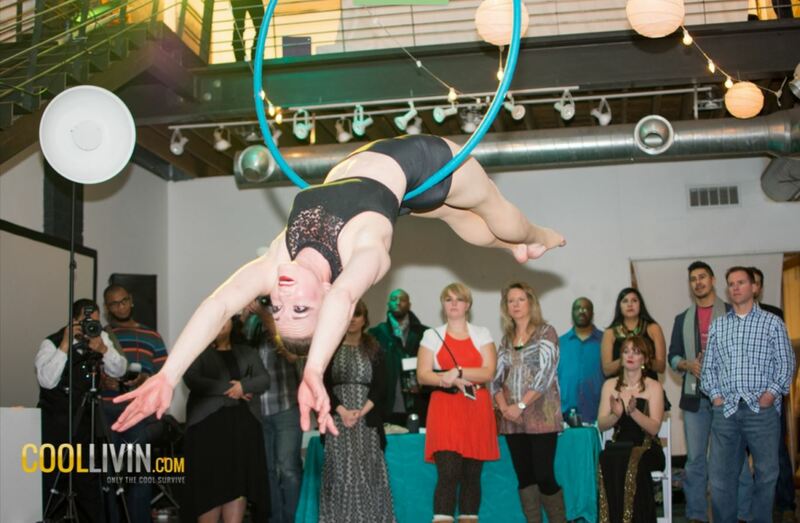 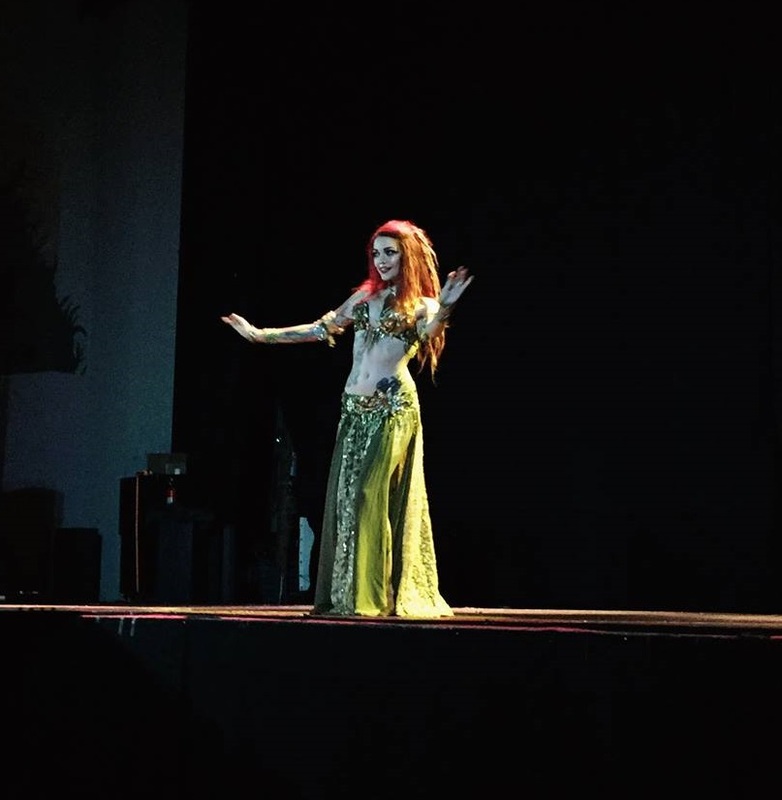 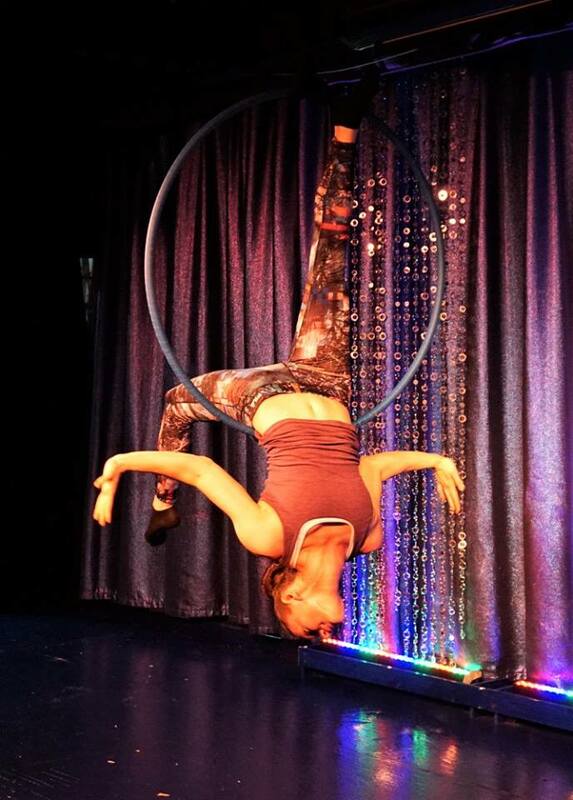 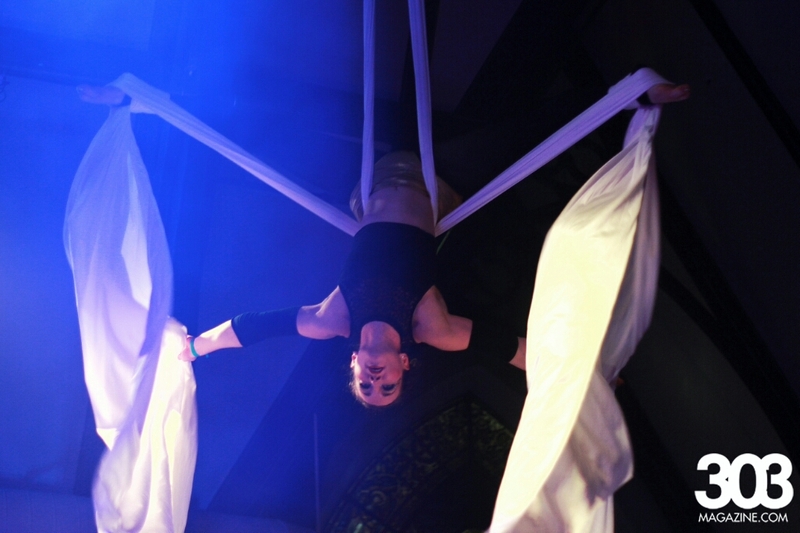 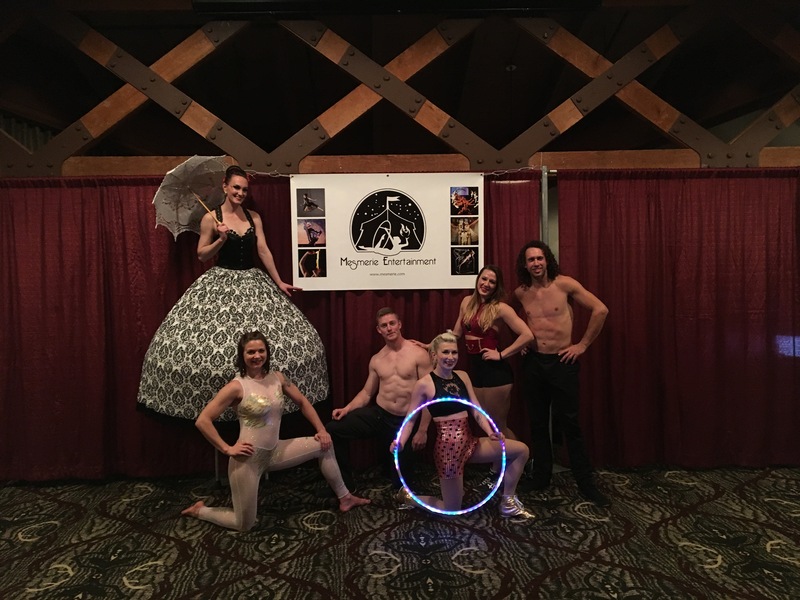 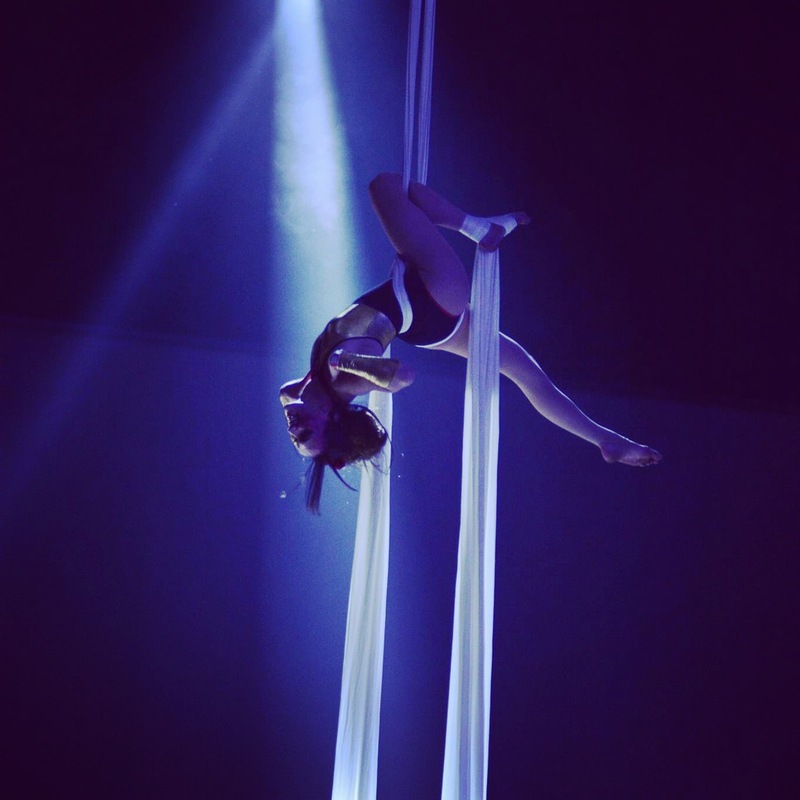 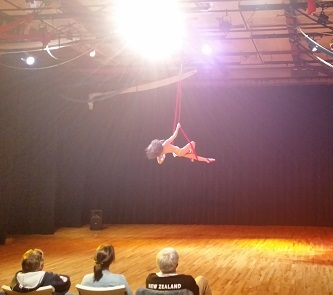 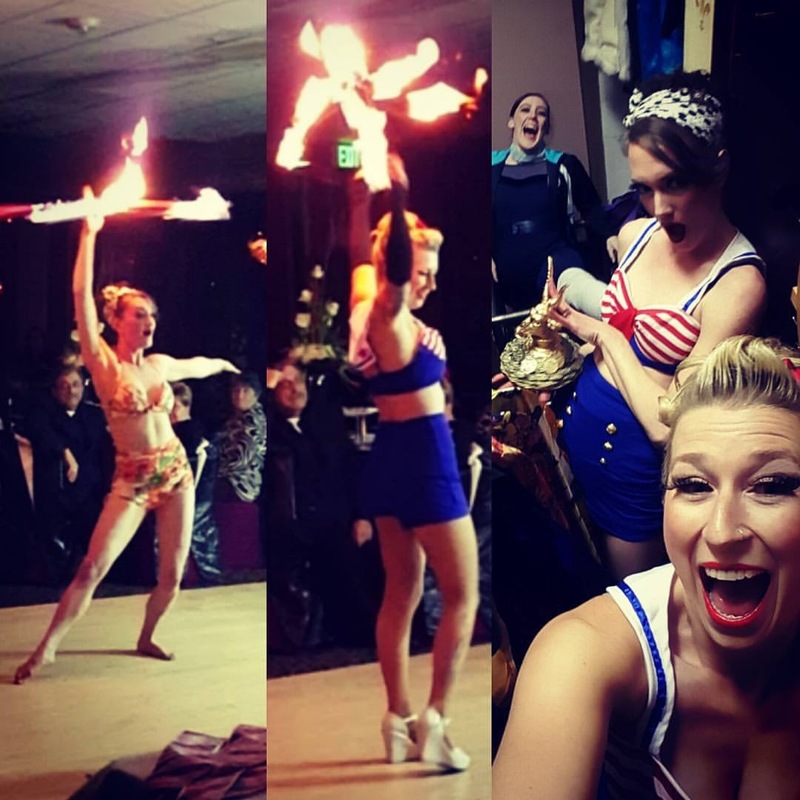 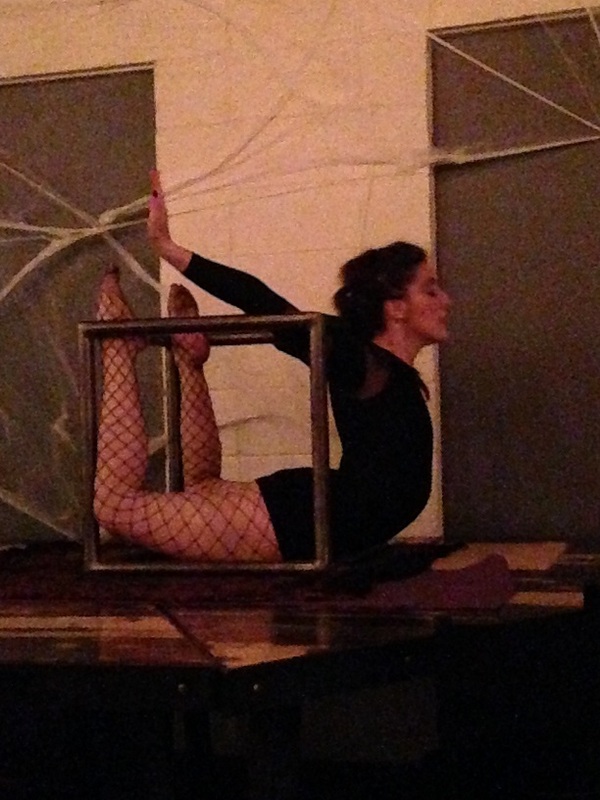 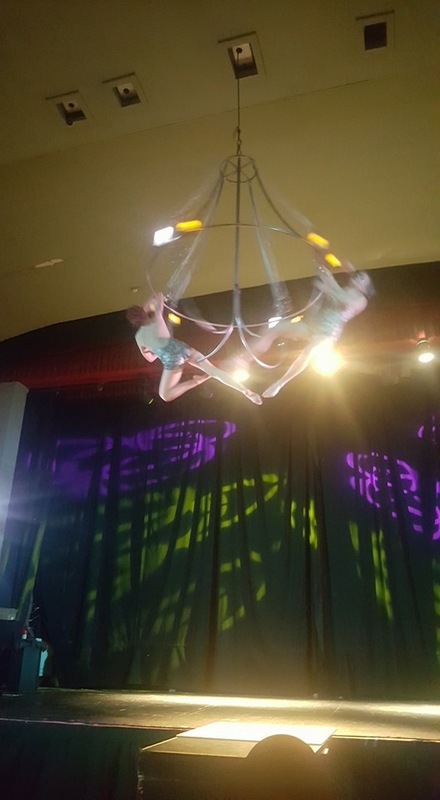 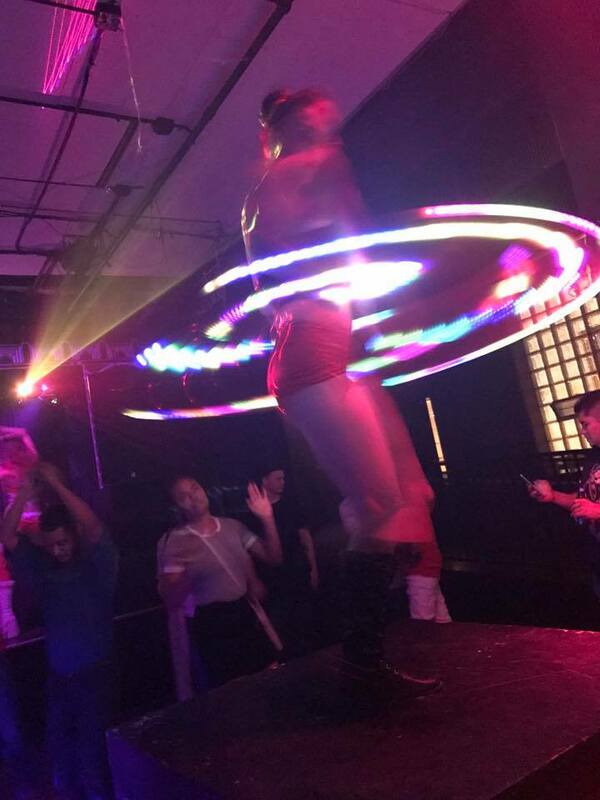 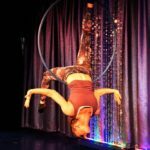 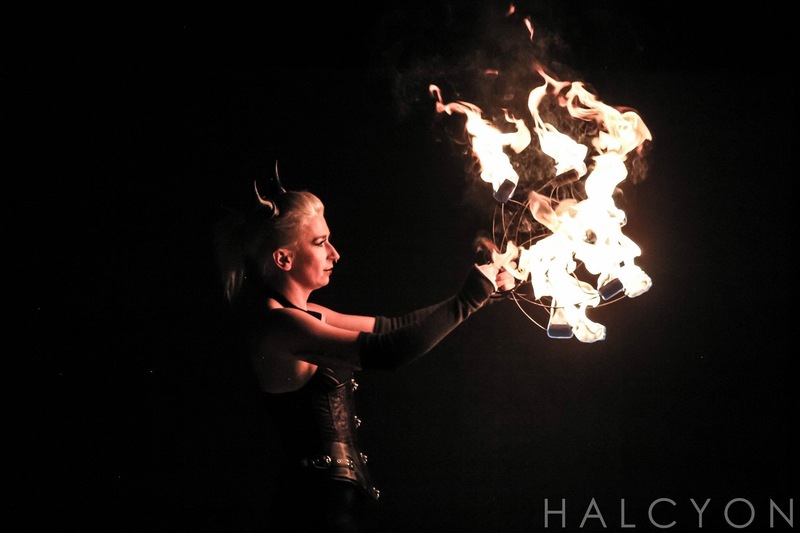 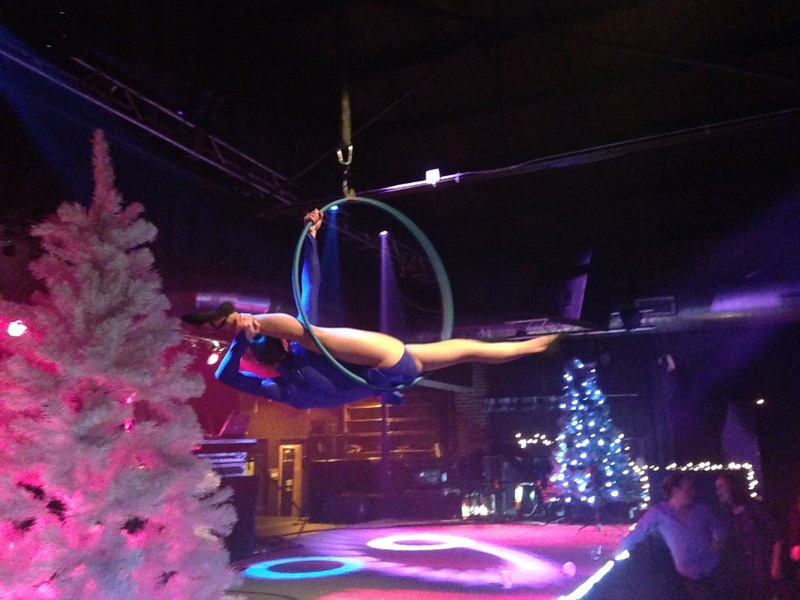 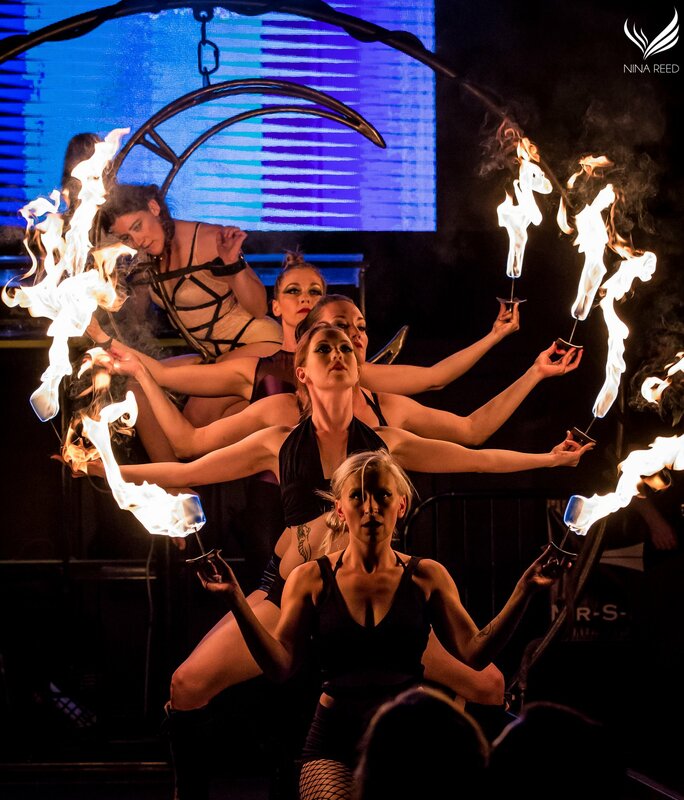 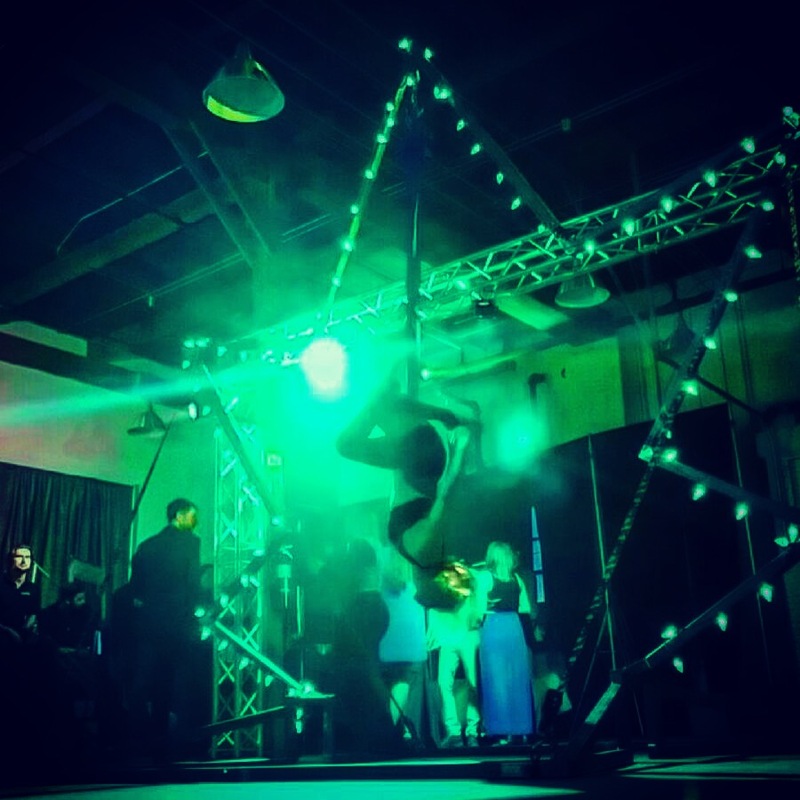 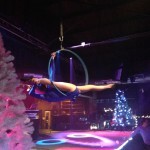 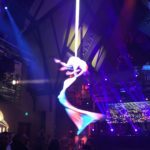 12/16/2015 Denver EMS Holiday Party Casselman's Bar and Venue - Denver, CO Aerial lyra and fire eating performances dazzled this group for the second year in a row! 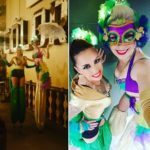 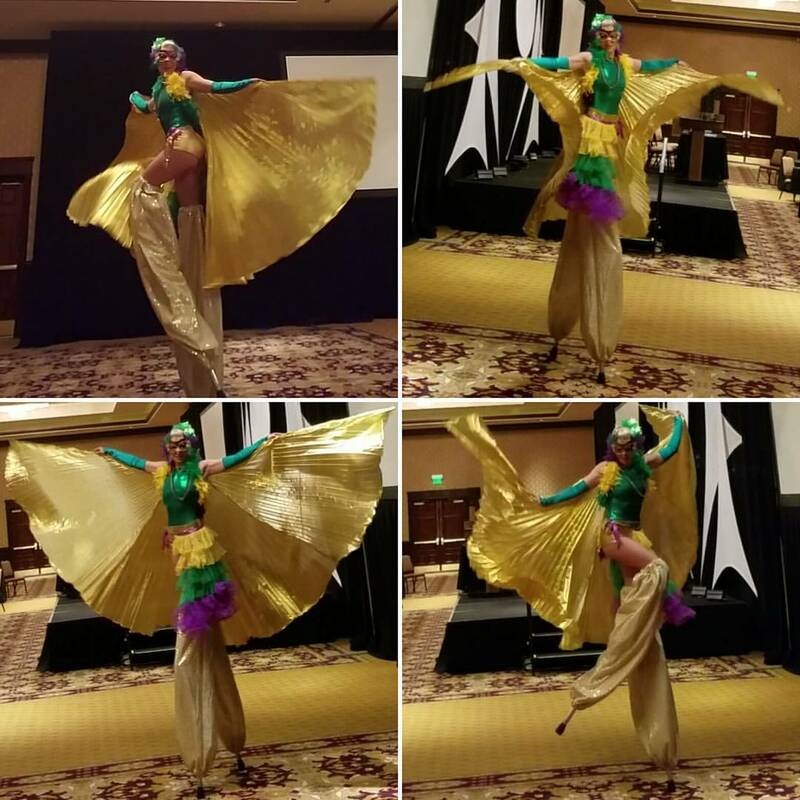 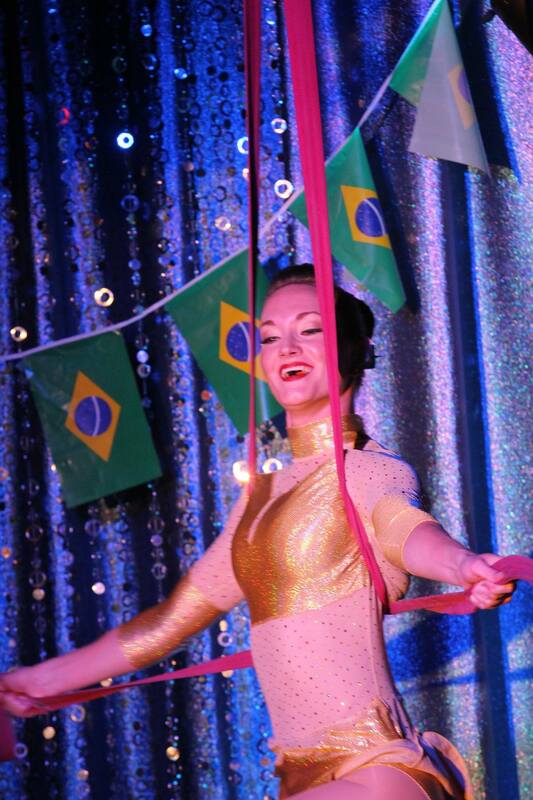 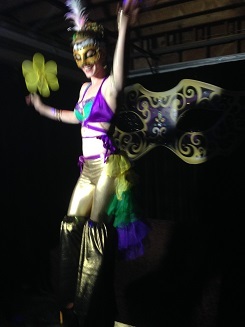 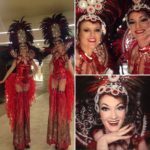 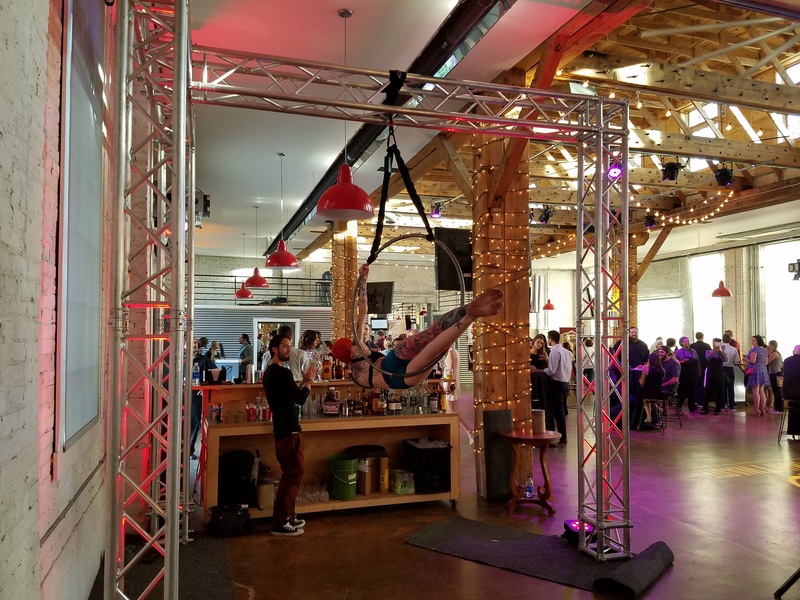 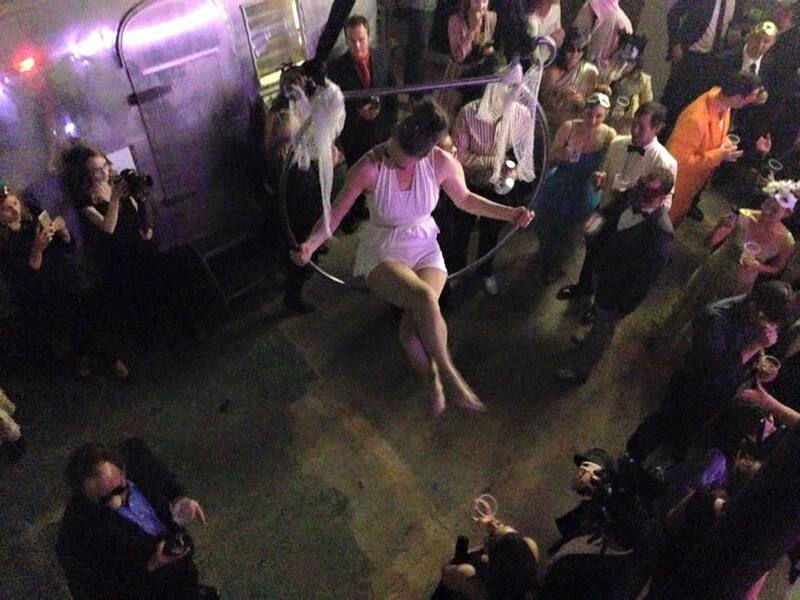 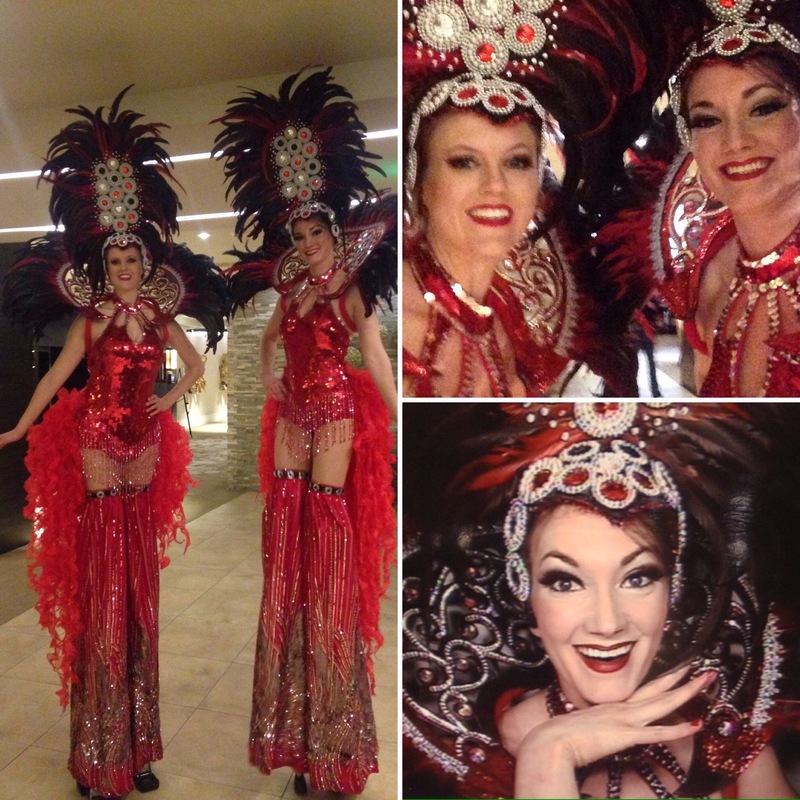 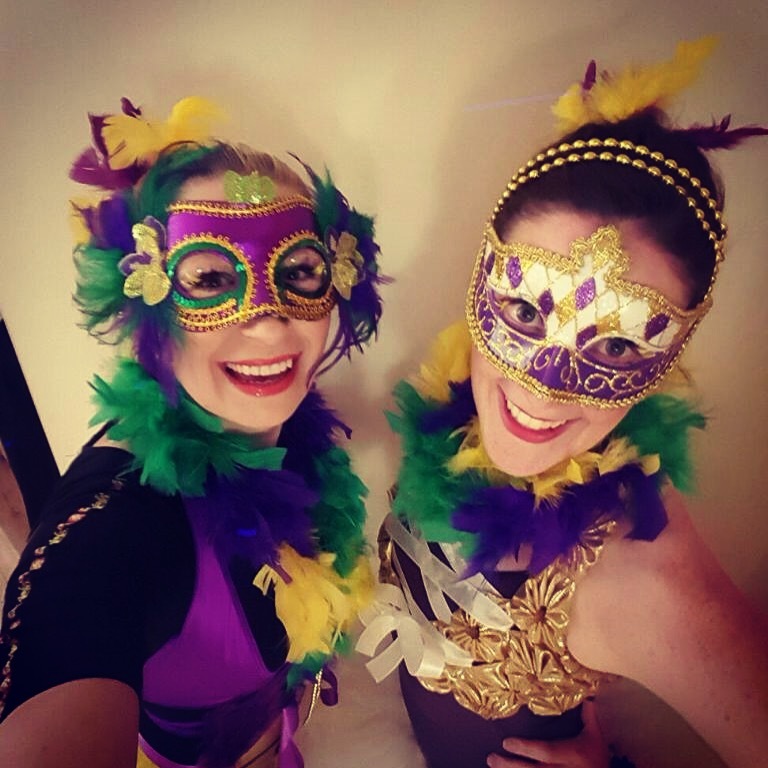 12/11/2015 Corporate Holiday Party (private event) Faultline North - Bozeman, MT Mesmerie Entertainment performers traveled to Bozeman, Montana to bring stilt walking, LED hula hoop, and aerial silks performance to this Mardi Gras themed executive holiday gala. 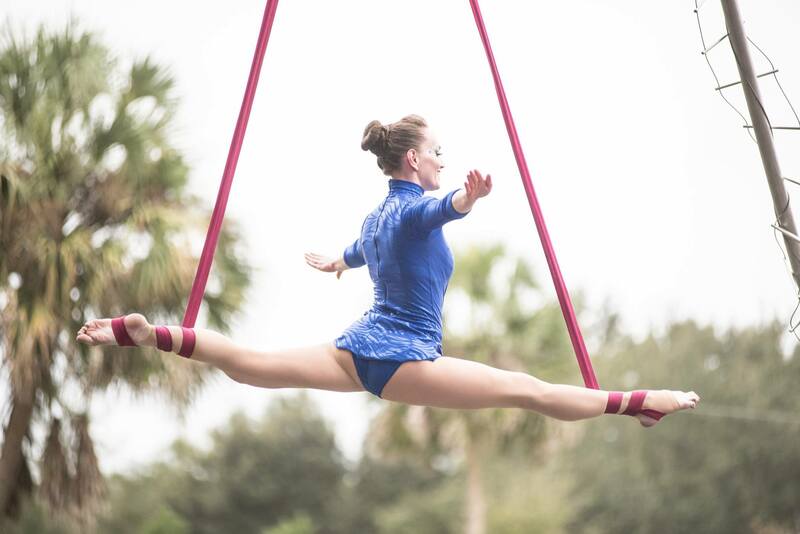 11/21/2015 S-Connection Aerial Arts "Country Circus 2015" Two Hawk Hammock - Williston, FL Katie Mesmerie joined Ascendance Aerial Arts for the 5th Annual Country Circus, performing aerial lyra in the ensemble opener and an aerial straps solo to close the show. 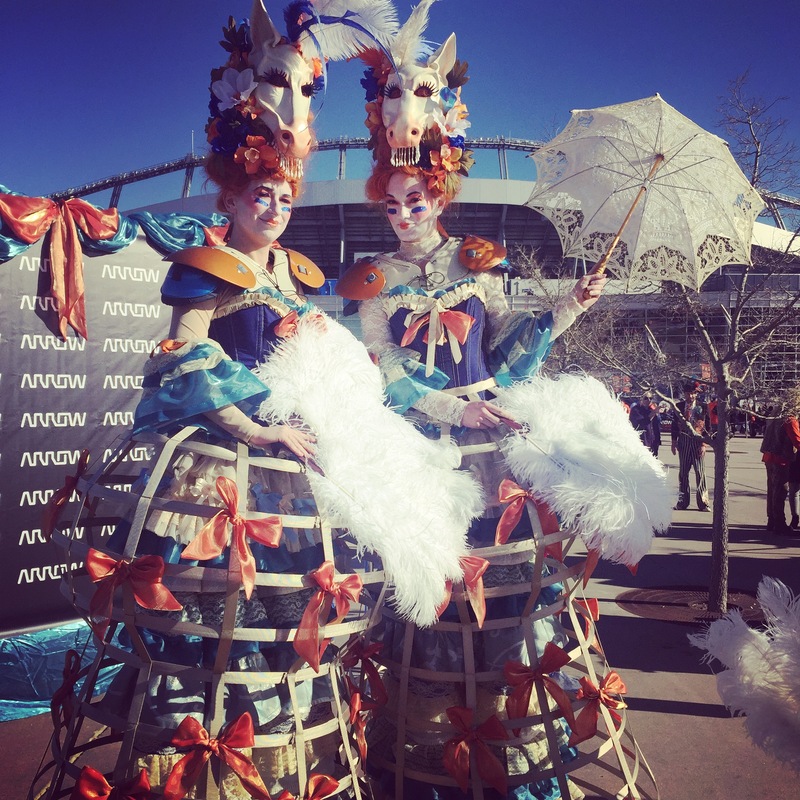 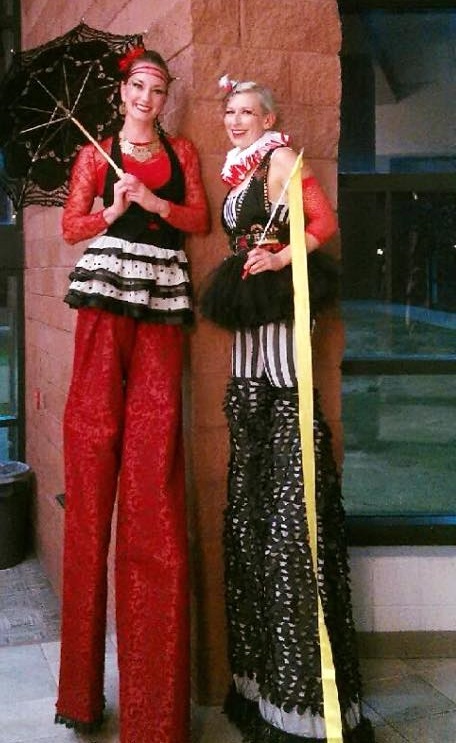 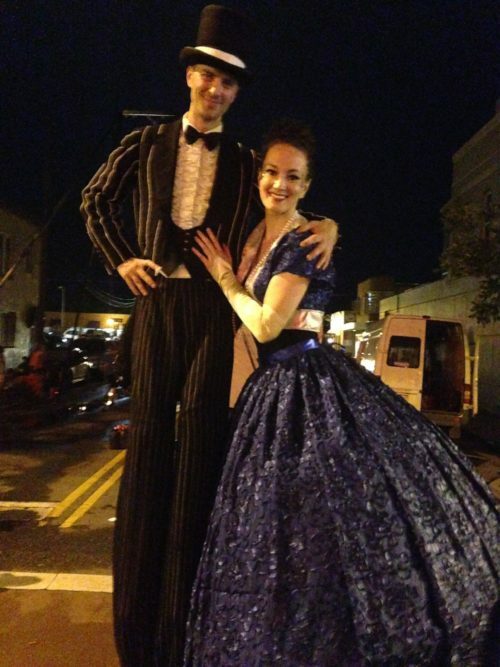 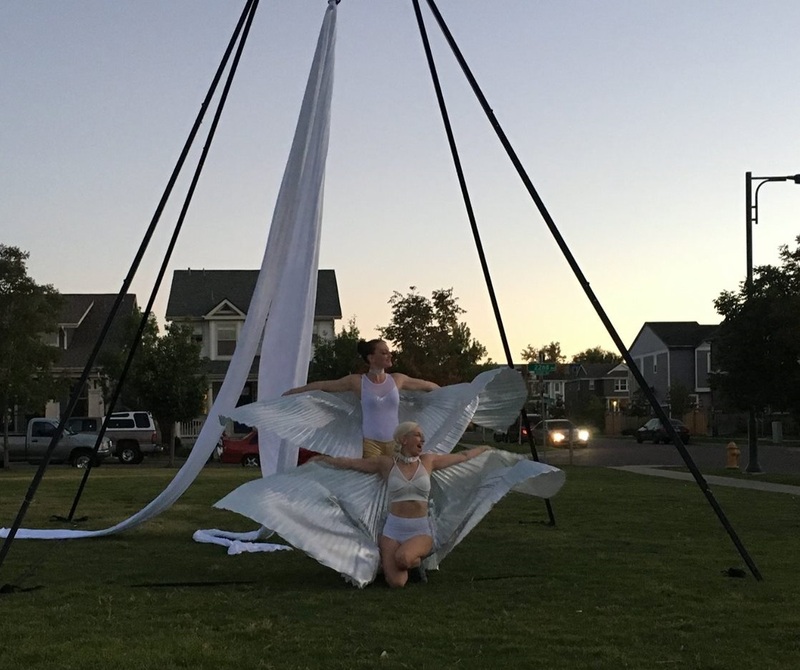 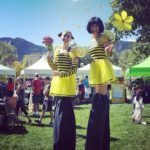 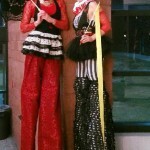 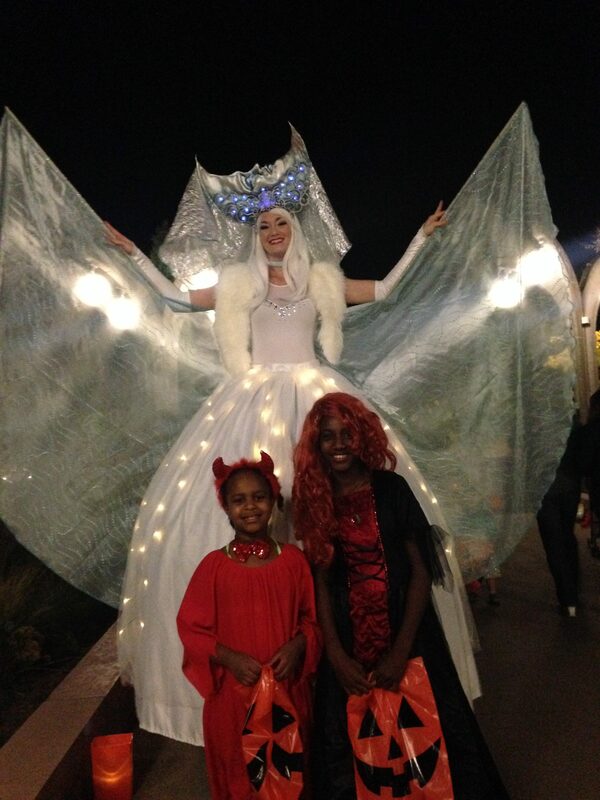 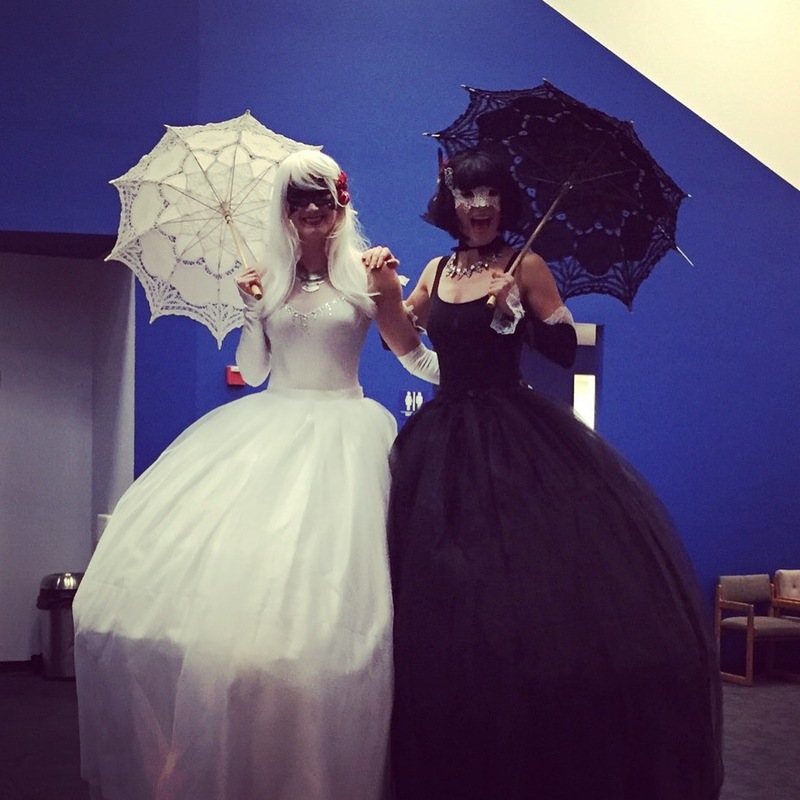 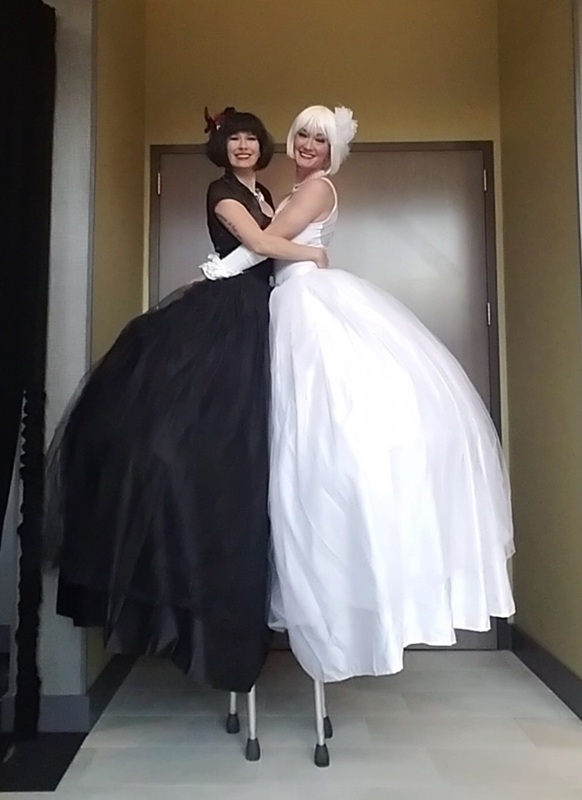 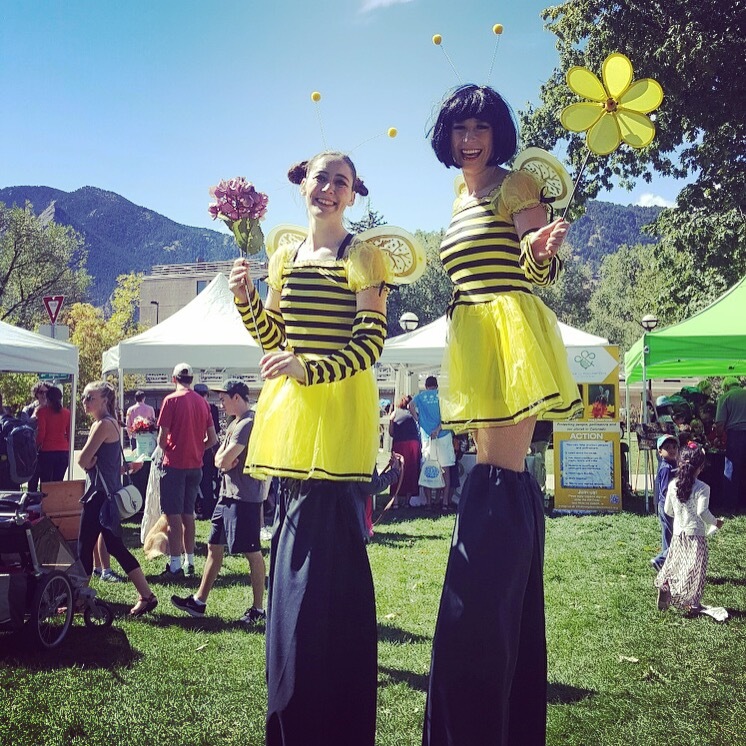 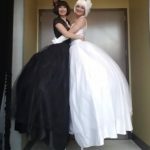 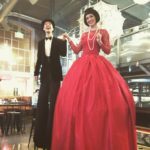 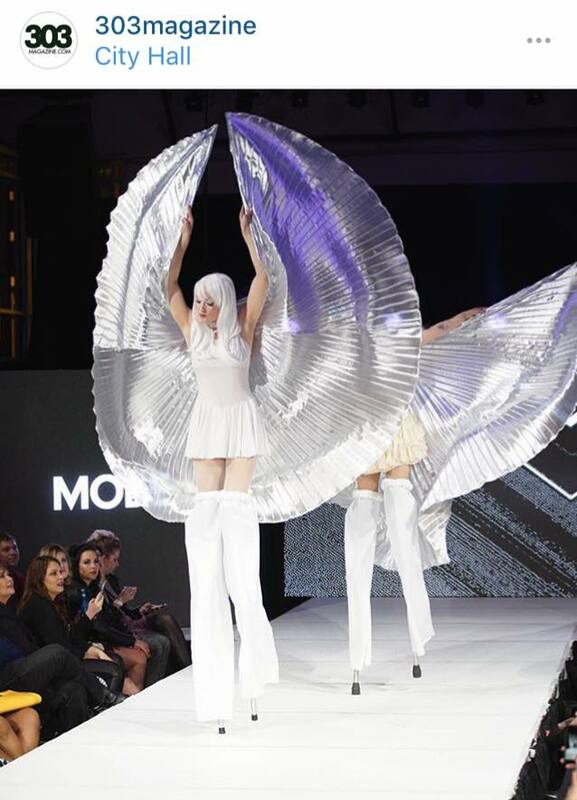 10/17/2015 Mountain View High School Homecoming Carnival Mountain View High School - Loveland, CO Mesmerie Entertainment stilt walkers helped this Homecoming carnival reach new heights! 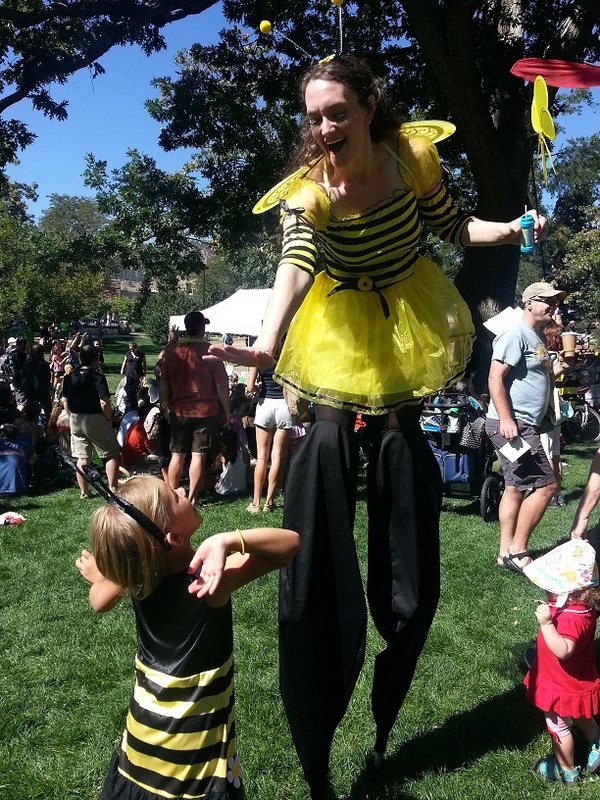 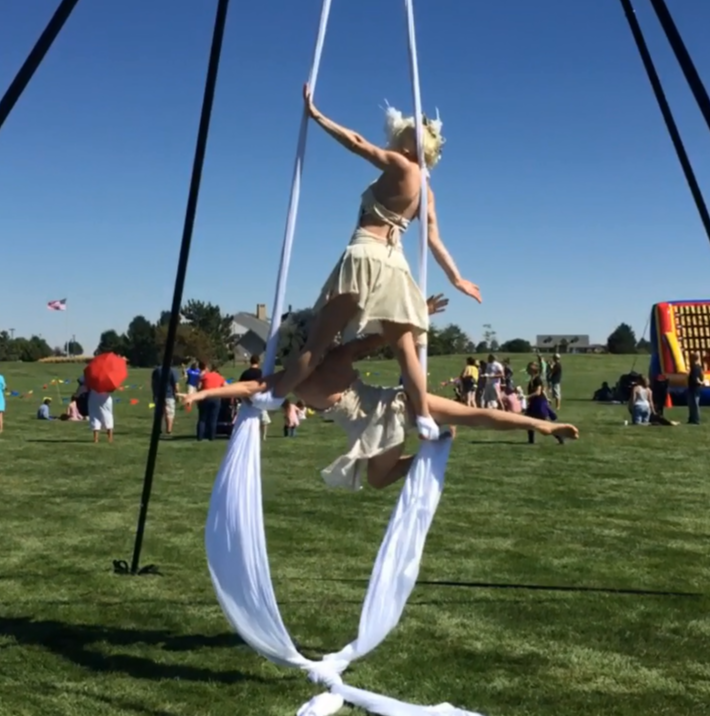 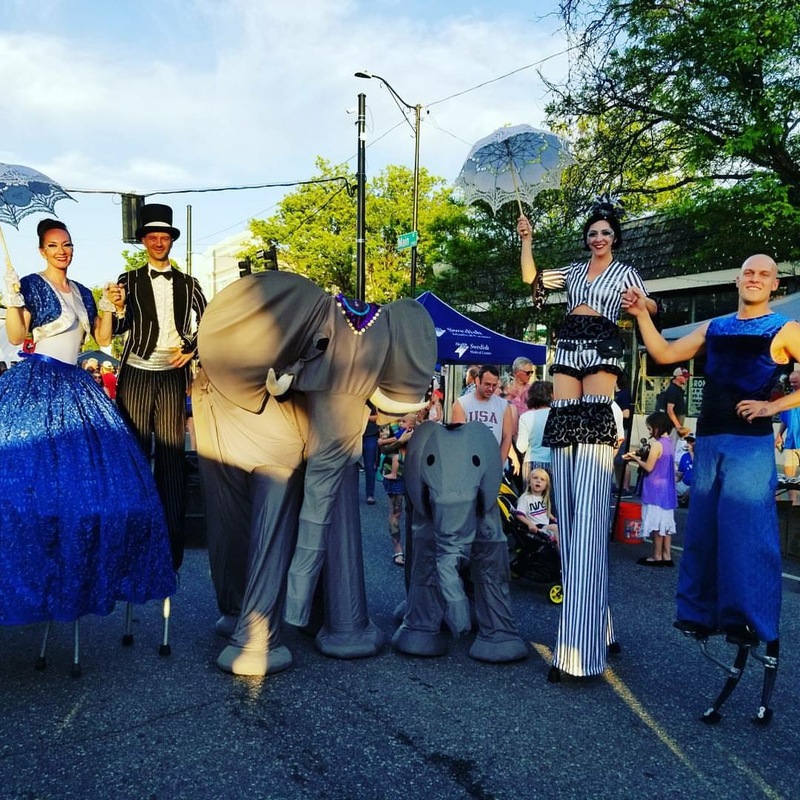 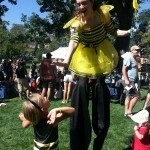 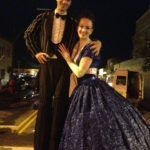 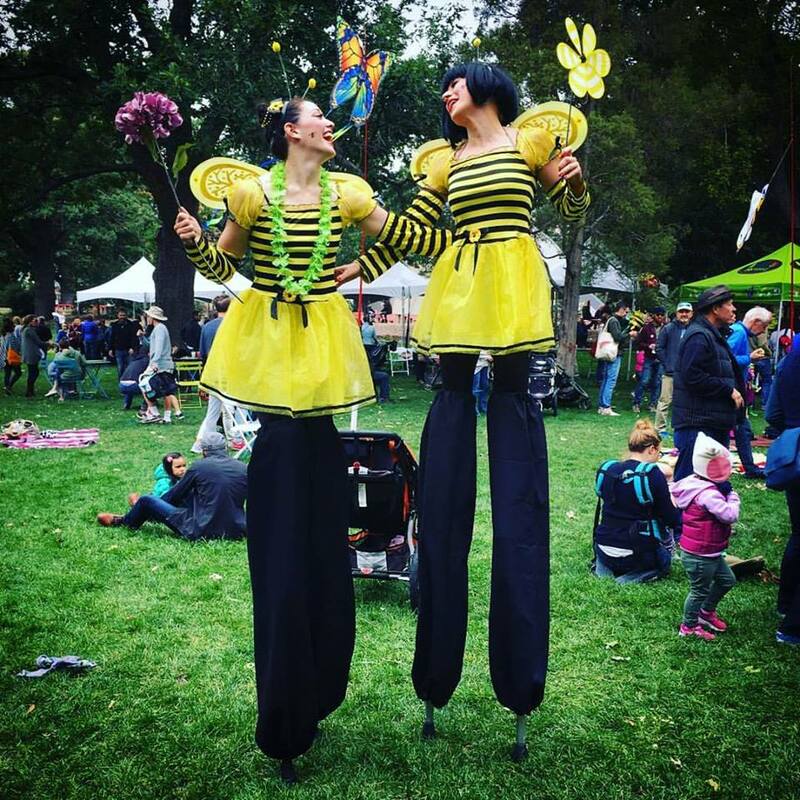 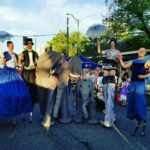 9/27/2015 Good Shepherd Carnival Good Shepherd Catholic Church & School - Denver, CO Katie Mesmerie added new height to this family-friendly carnival fundraiser on her 3-foot stilts! 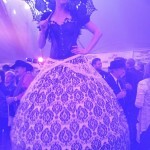 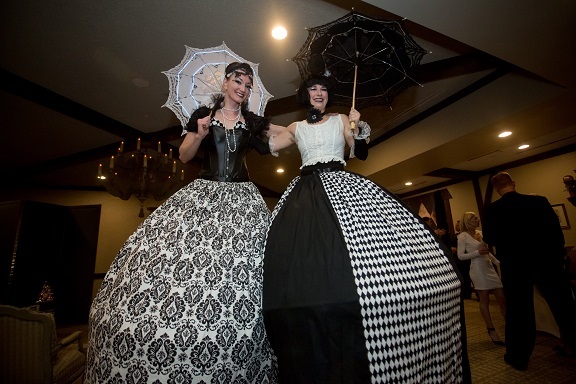 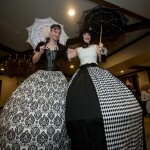 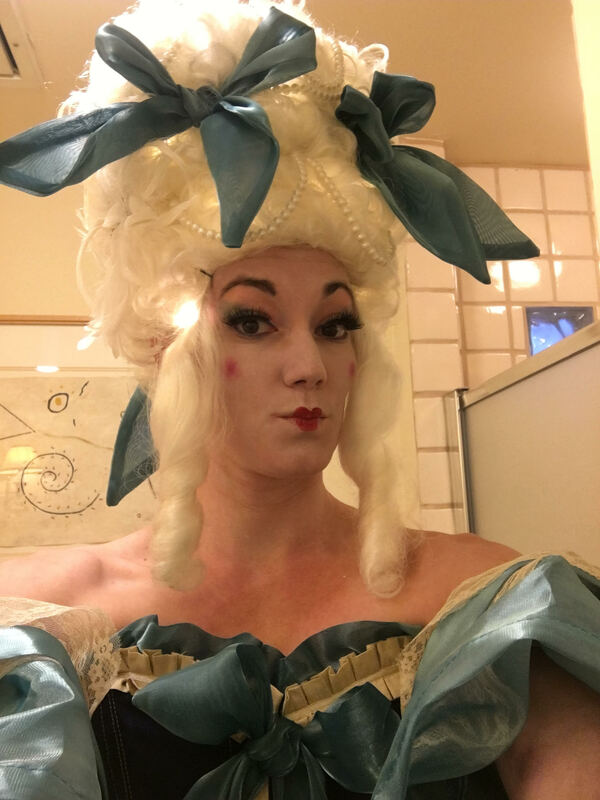 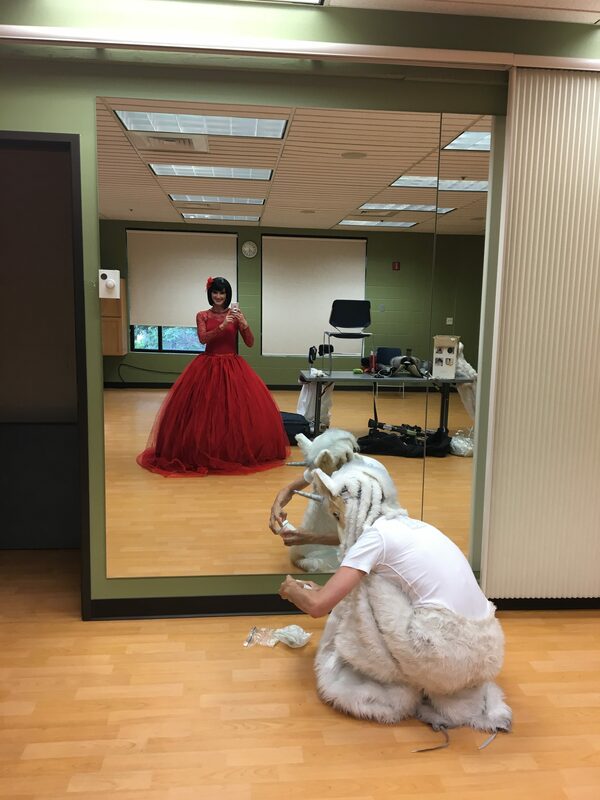 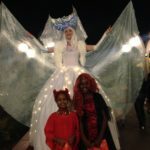 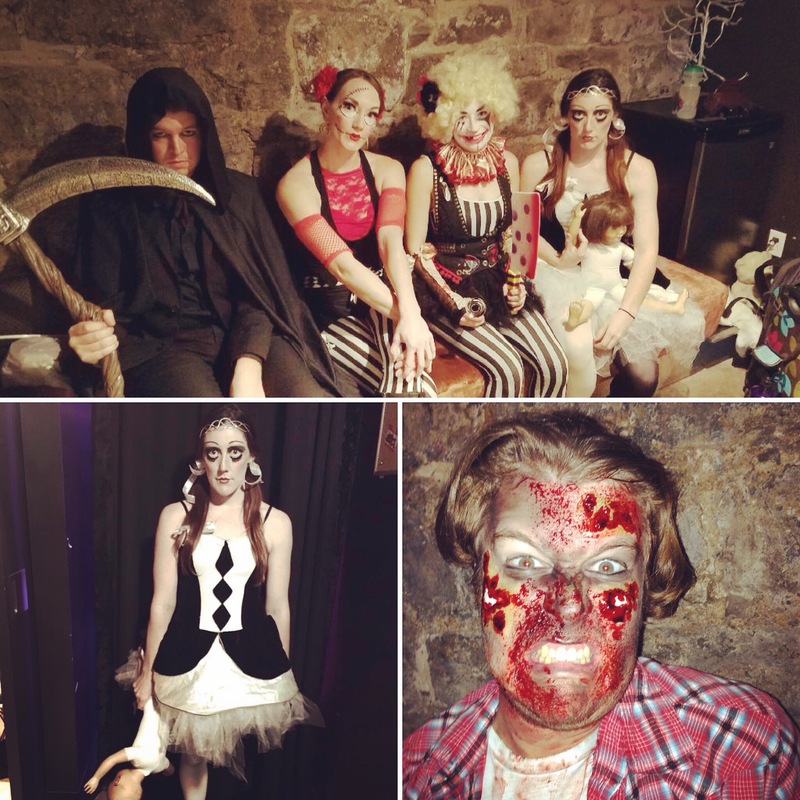 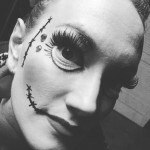 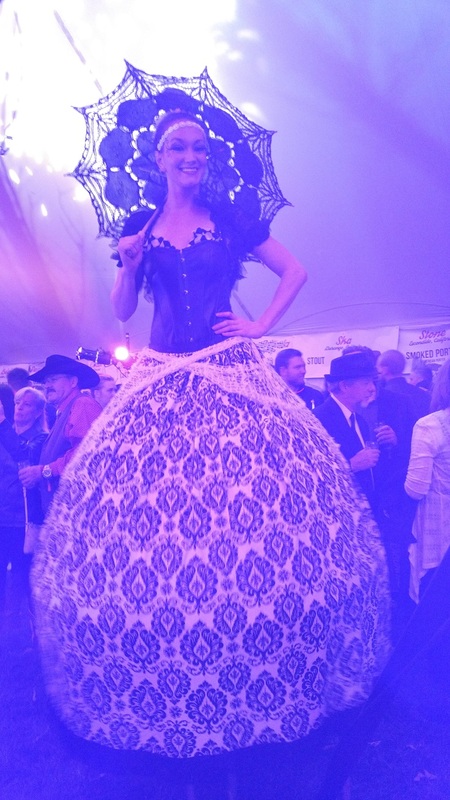 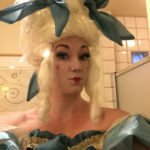 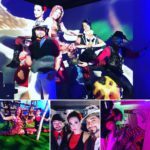 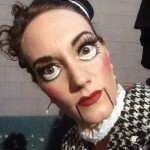 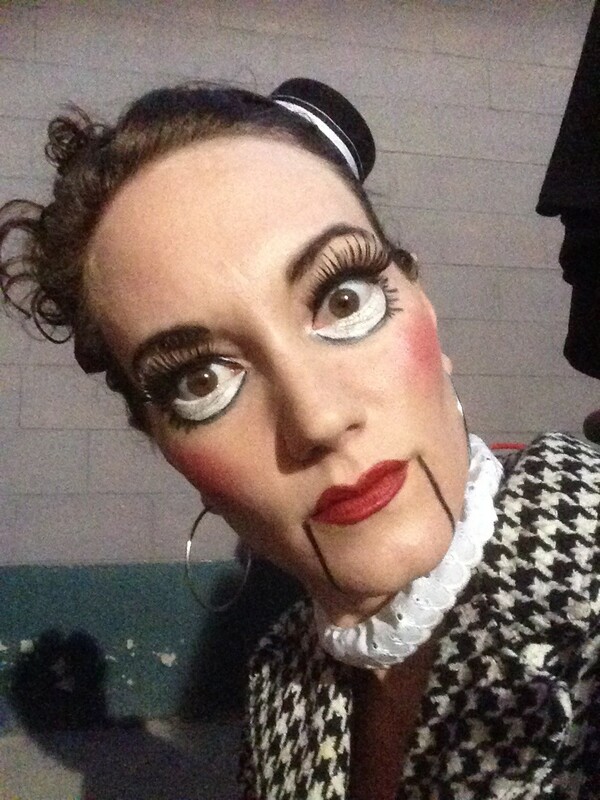 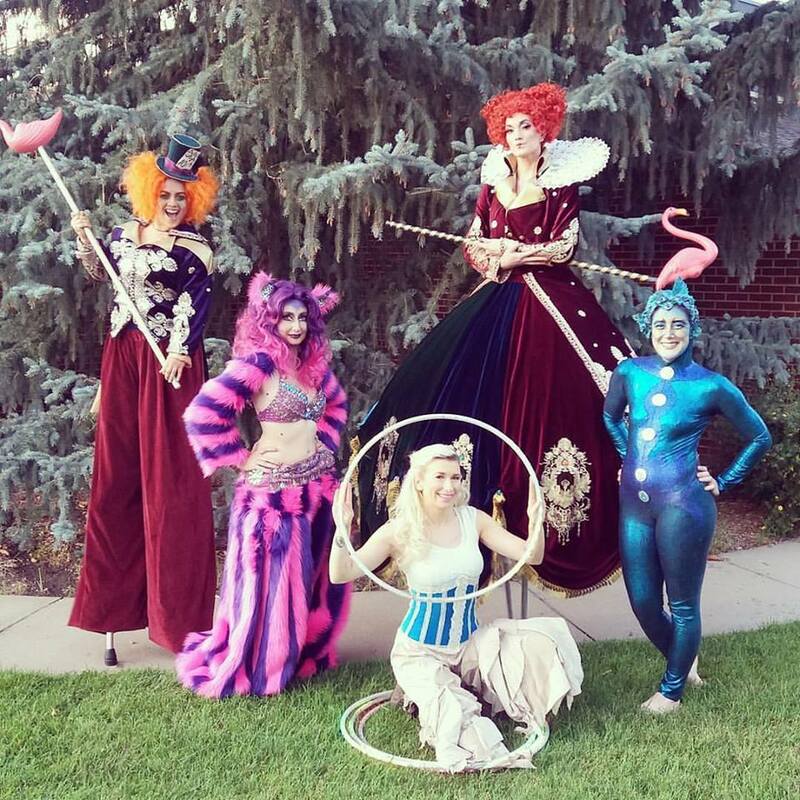 9/11 & 9/13/2015 Mad Hatter's Ball Cheyenne Botanic Gardens - Cheyenne, WY Katie Mesmerie performed as the Queen of Hearts on stilts for this Alice in Wonderland themed fundraiser. 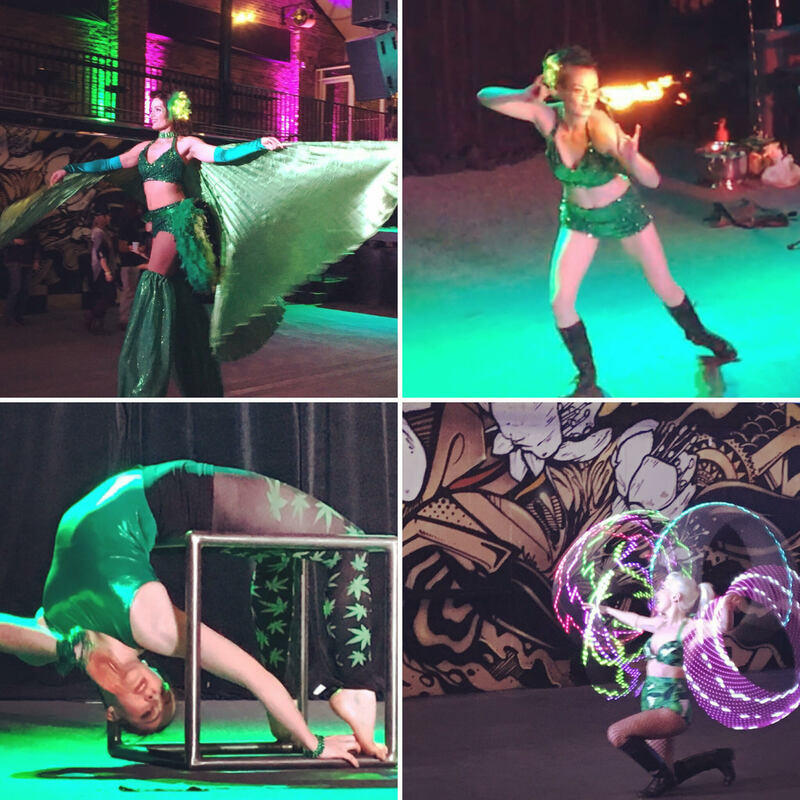 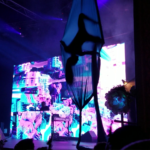 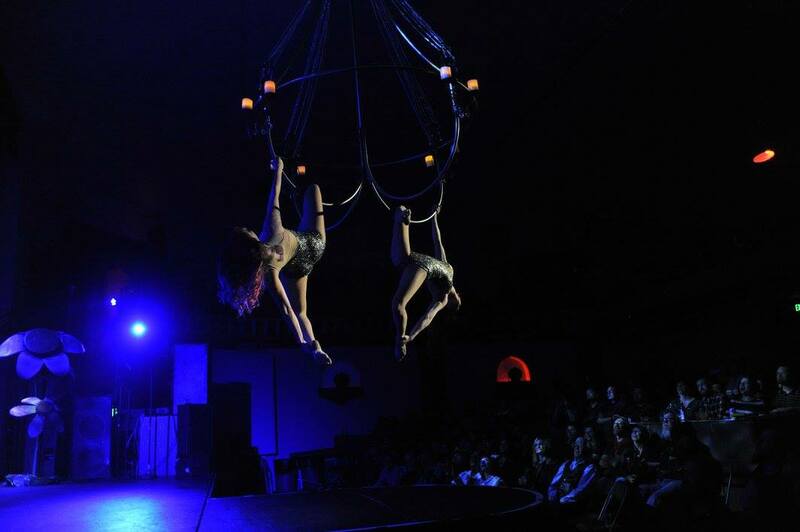 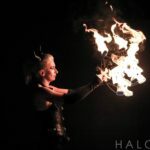 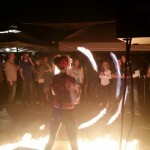 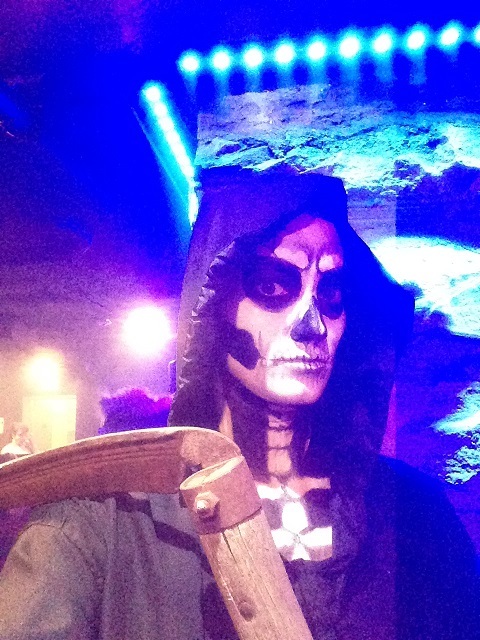 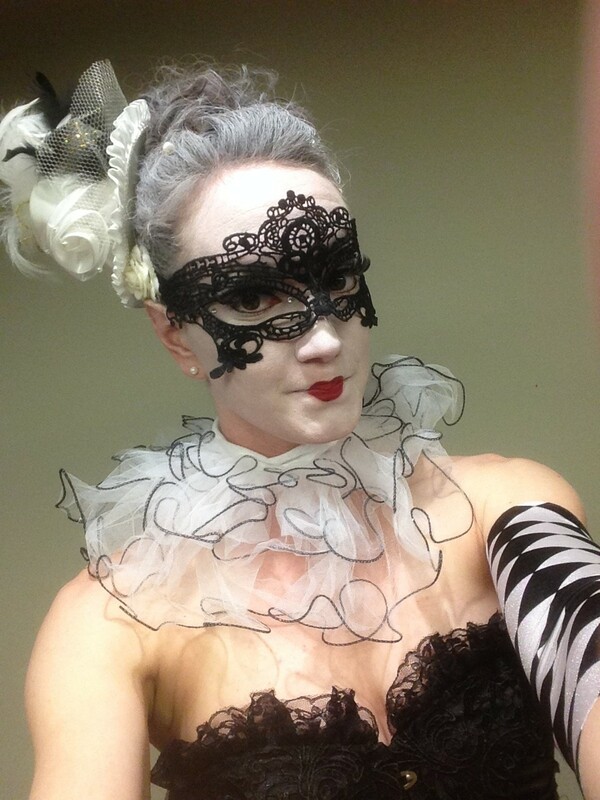 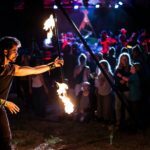 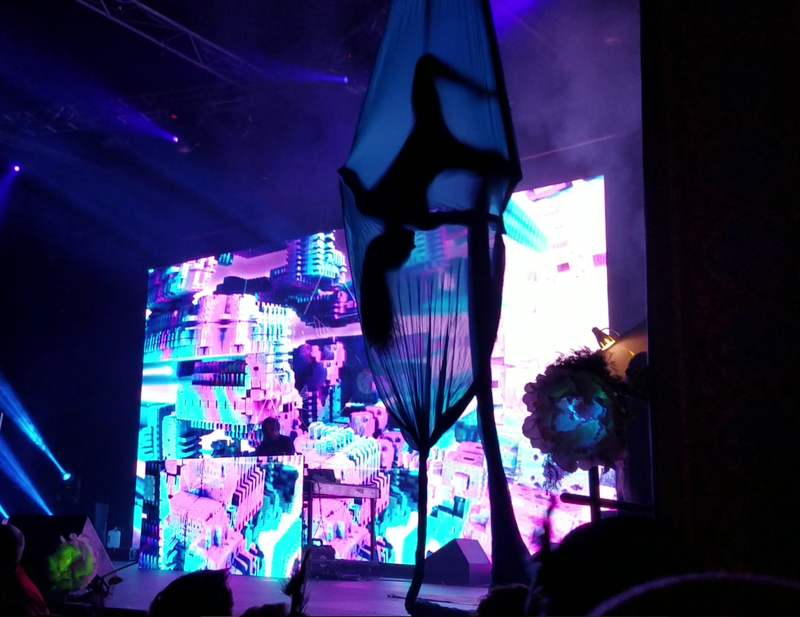 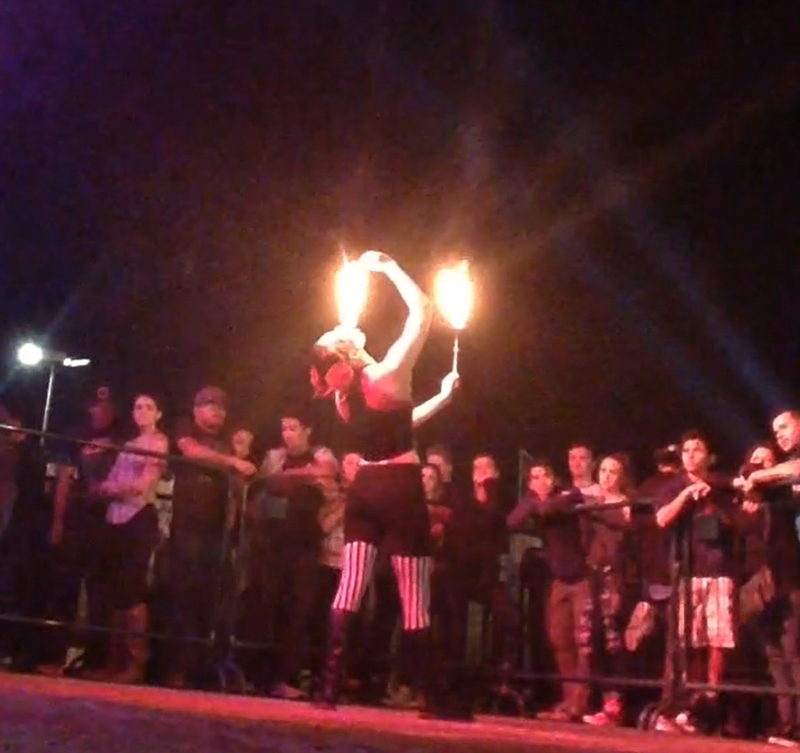 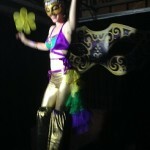 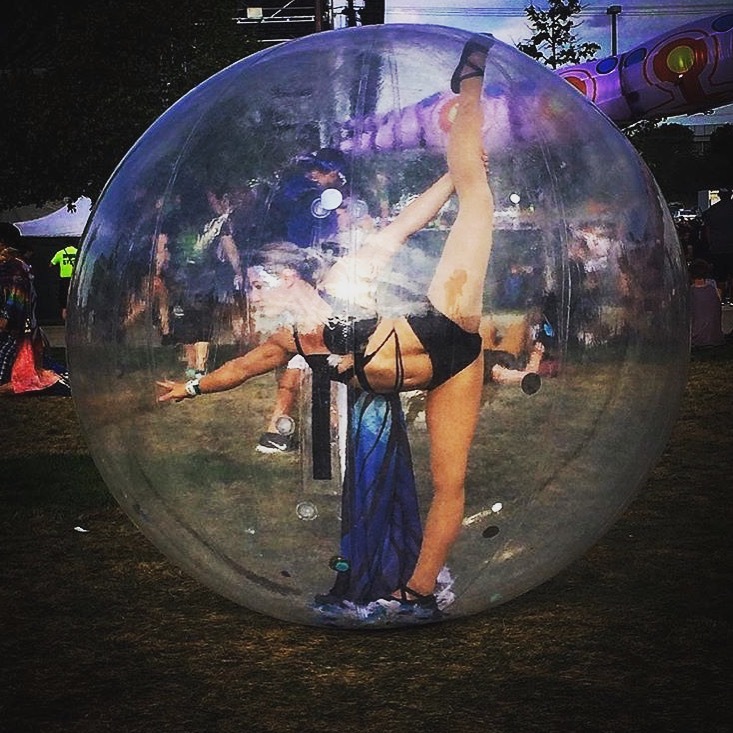 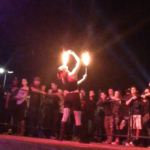 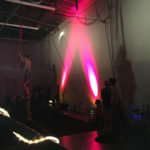 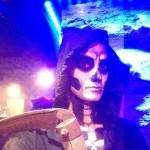 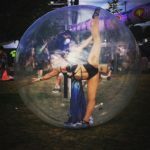 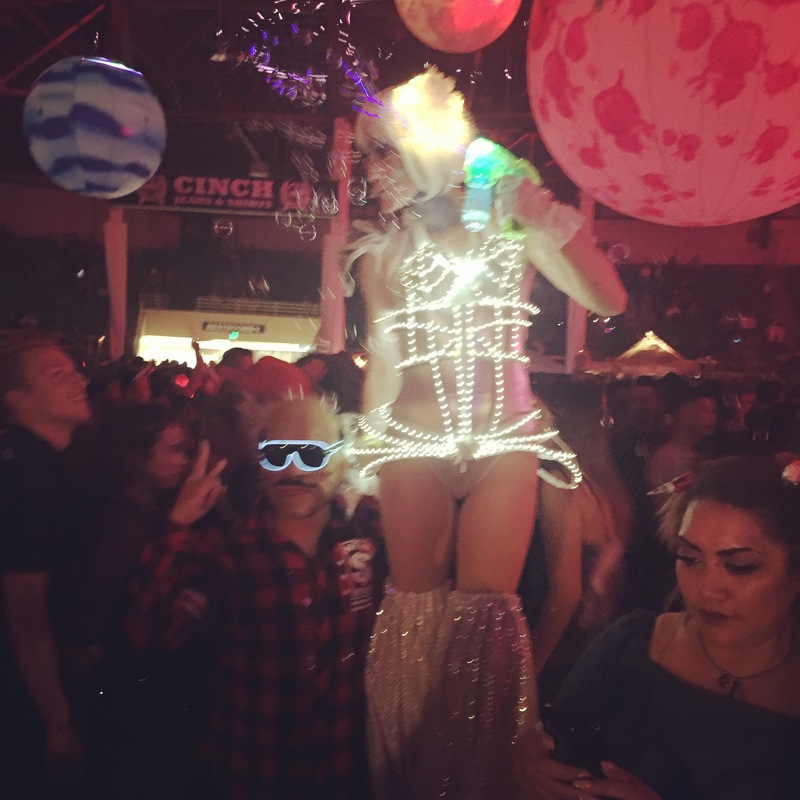 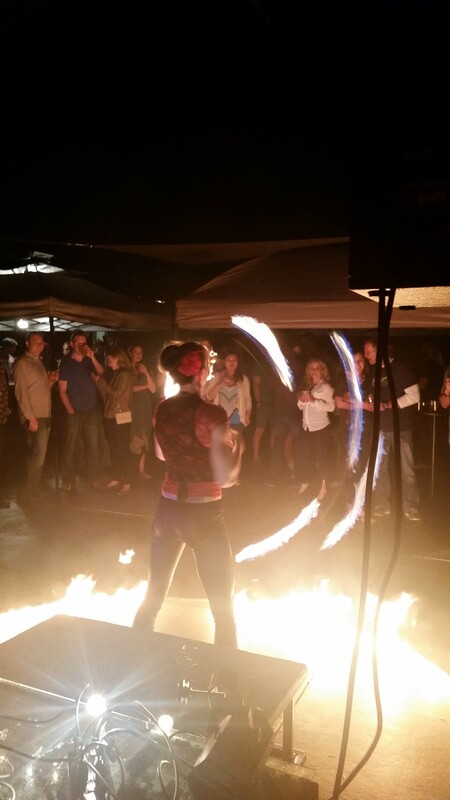 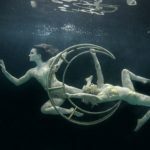 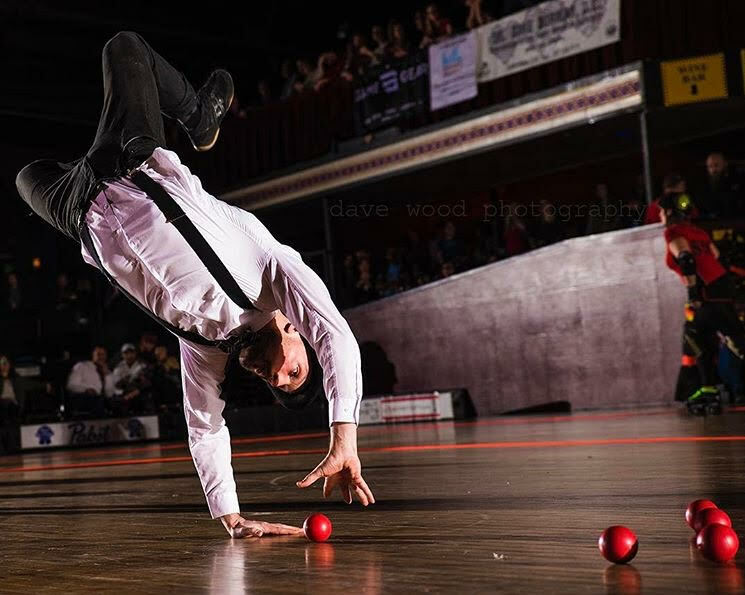 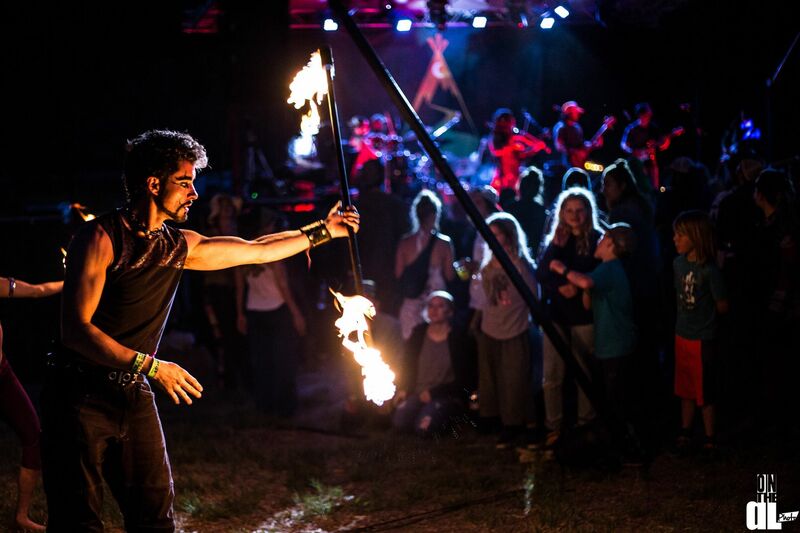 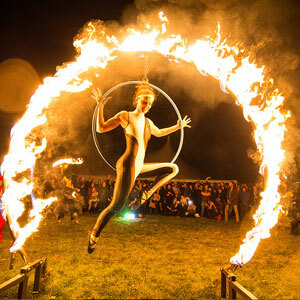 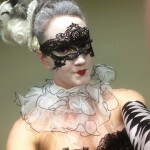 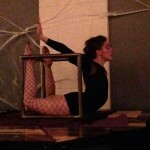 8/29/2015 Exile 4 Fetish Ball EXDO Events Center - Denver, CO Kaleidoscope Circus Arts "Dark Arts" 30-minute fire, aerial, and ground dance show. 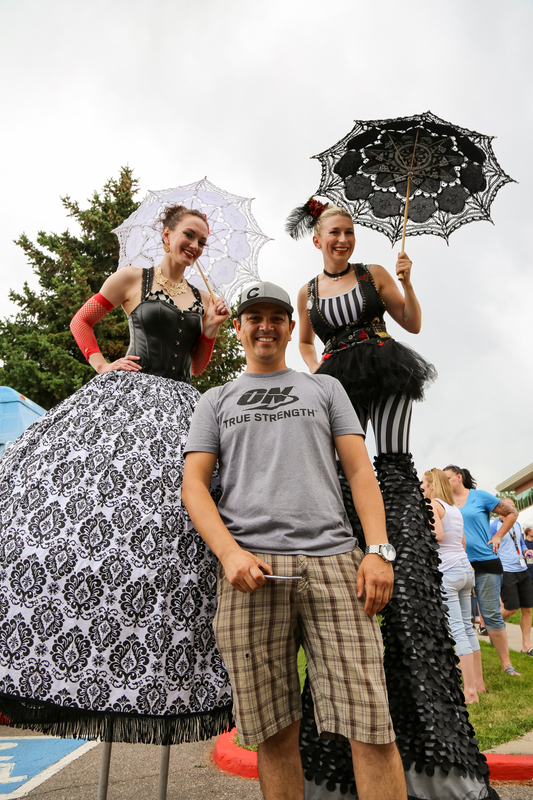 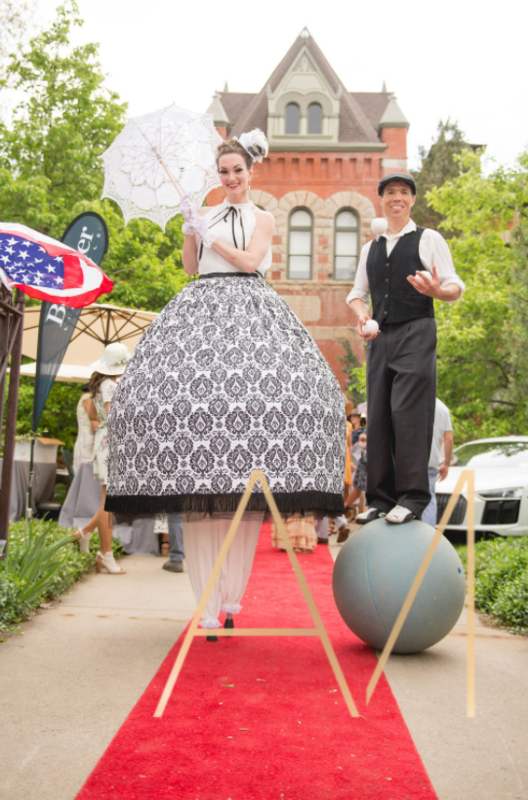 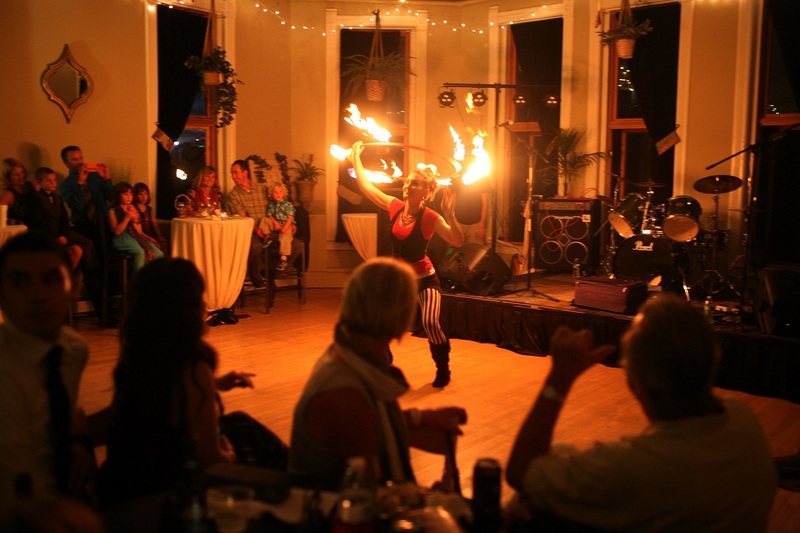 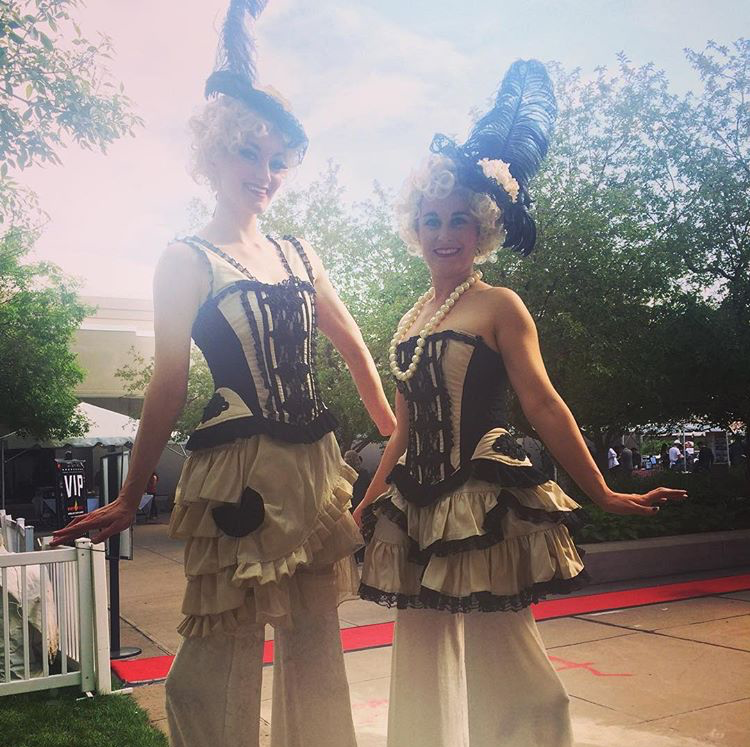 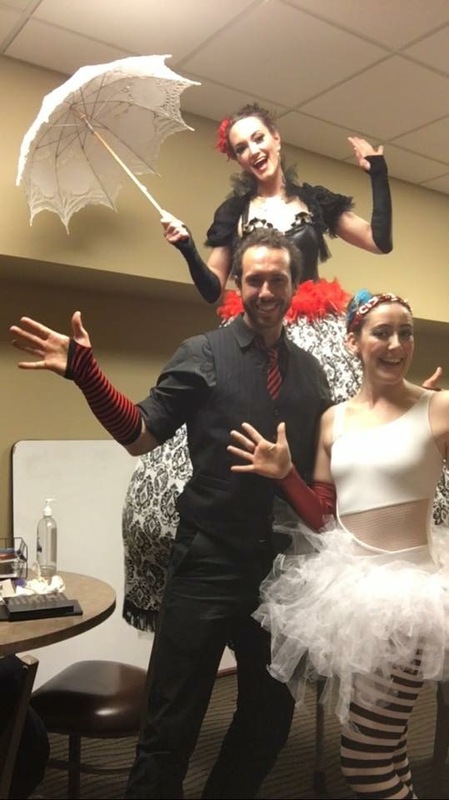 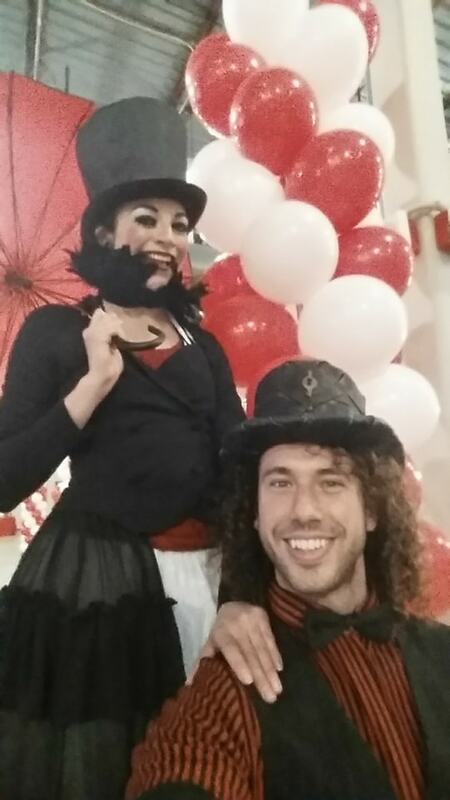 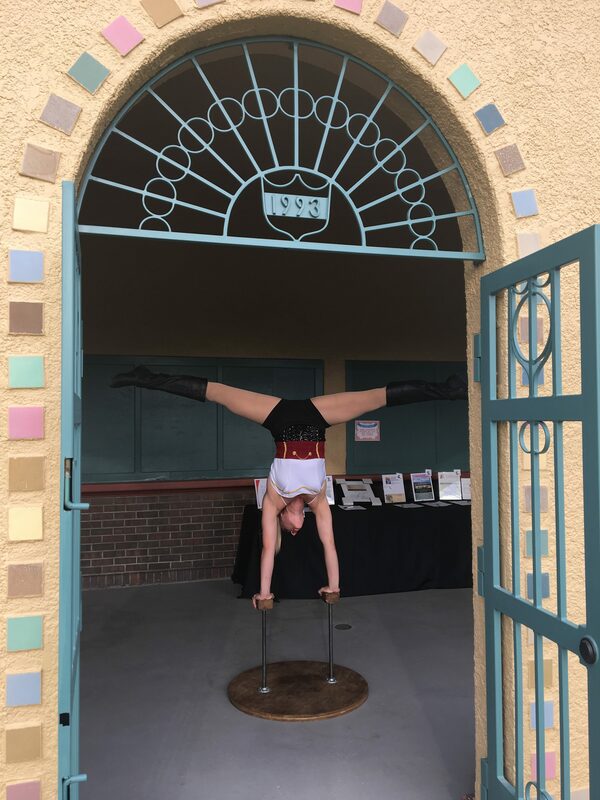 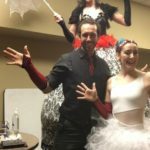 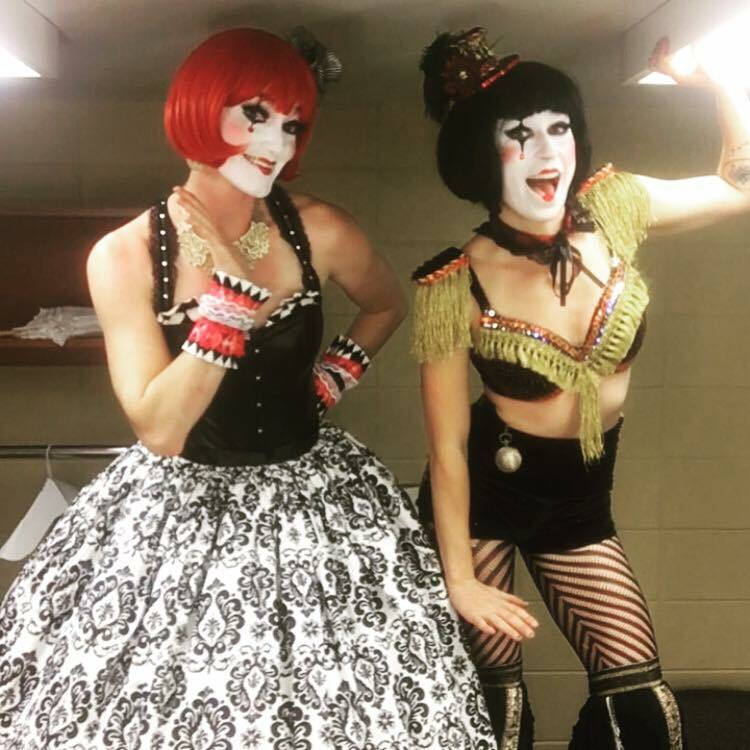 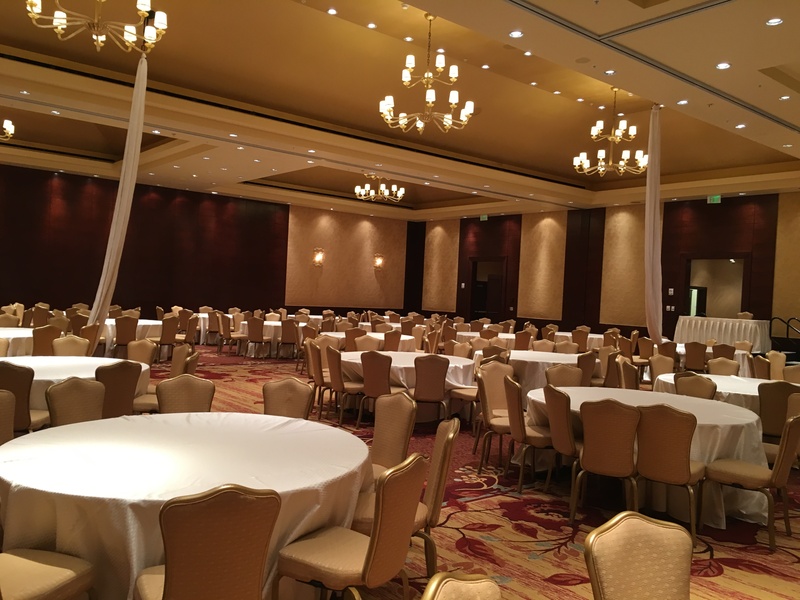 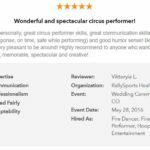 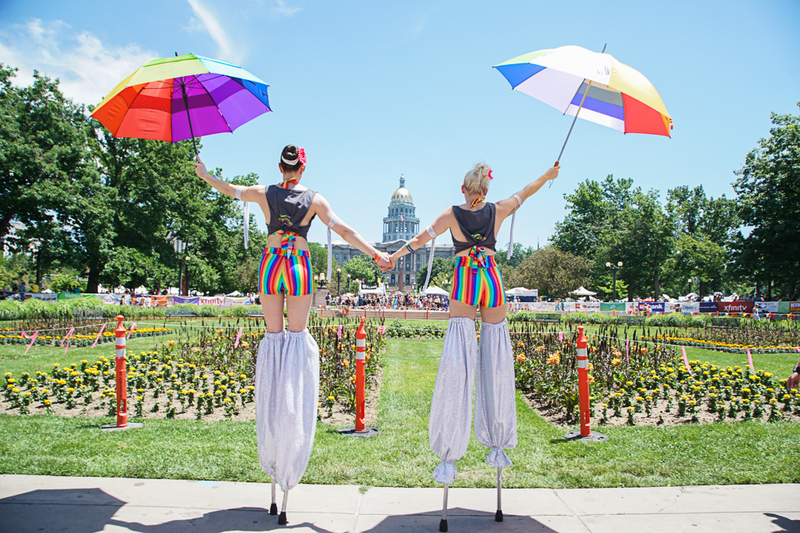 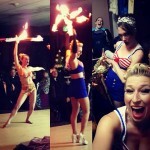 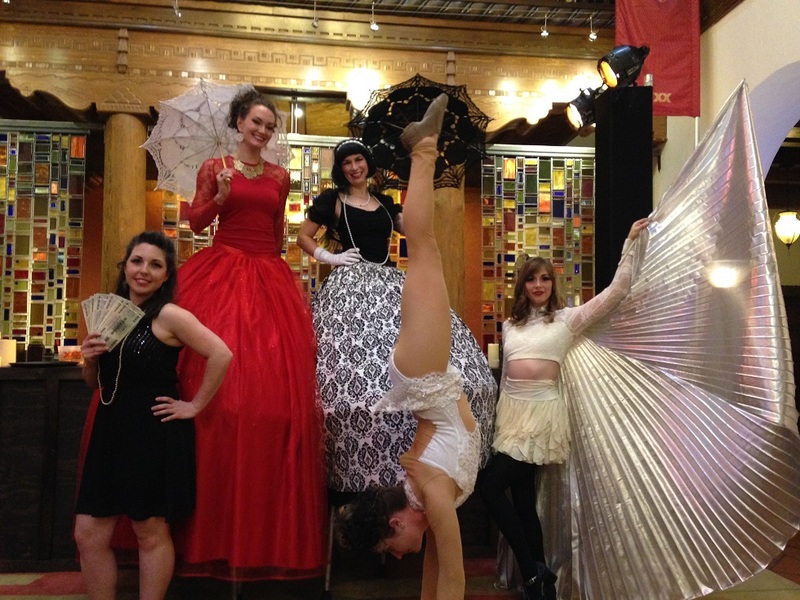 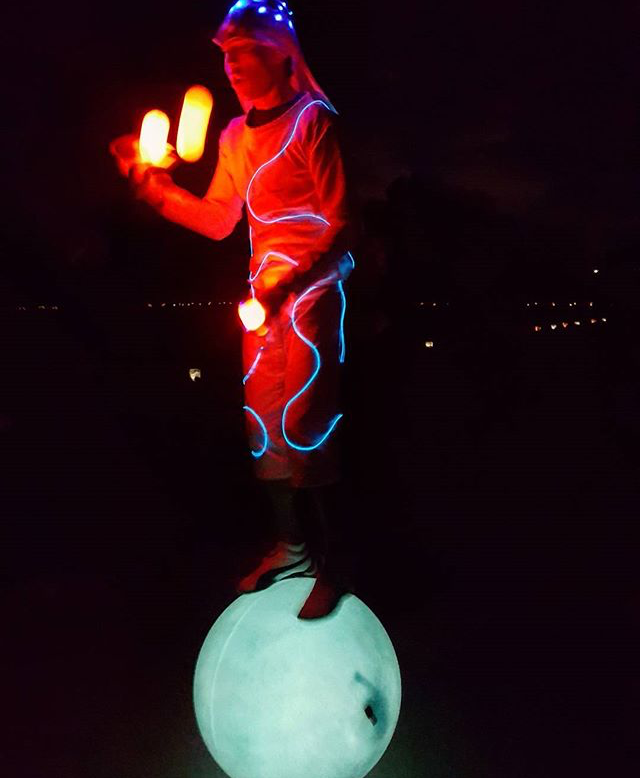 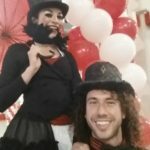 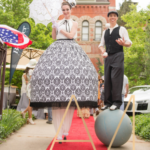 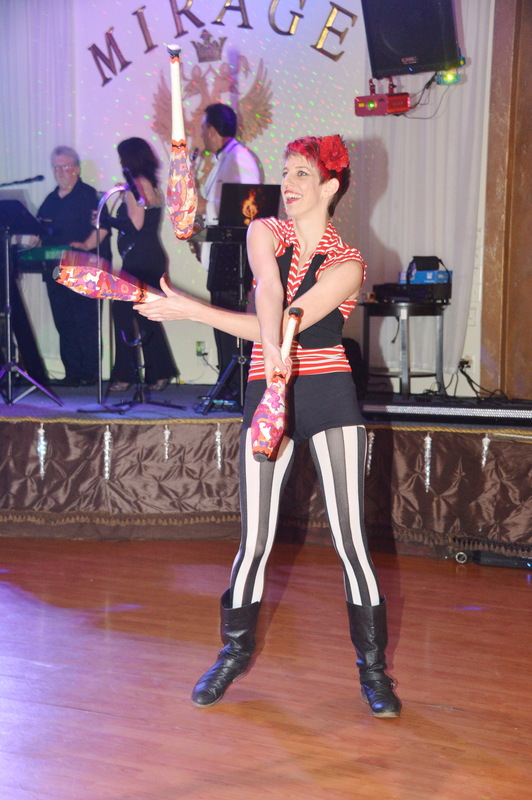 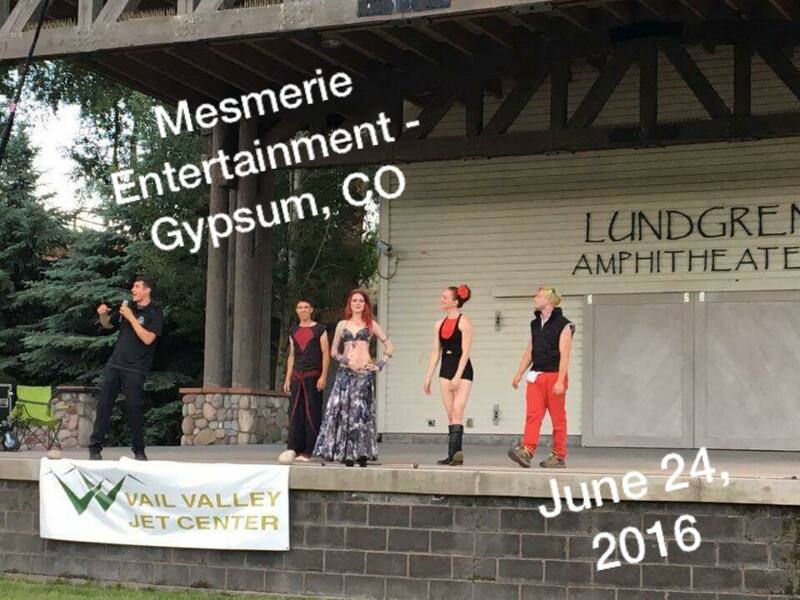 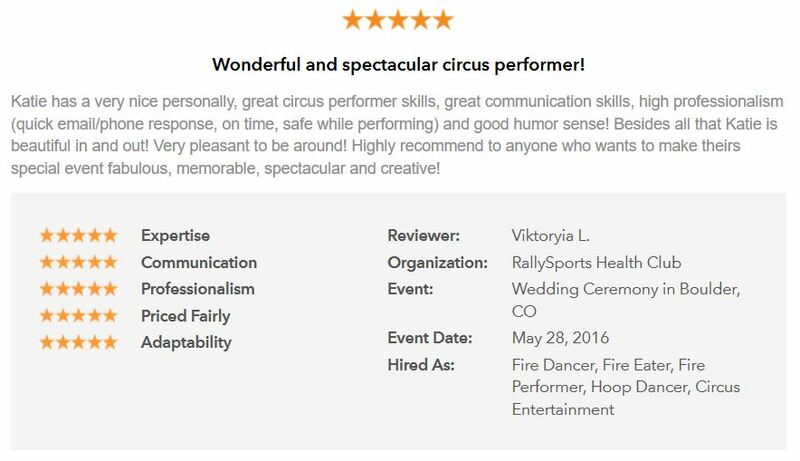 8/14/2015 Wedding Reception (private event) The Savoy at Curtis Park - Denver, CO Mesmerie Entertainment produced a 30-minute circus show with 5 different performers for this unique wedding reception. 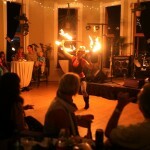 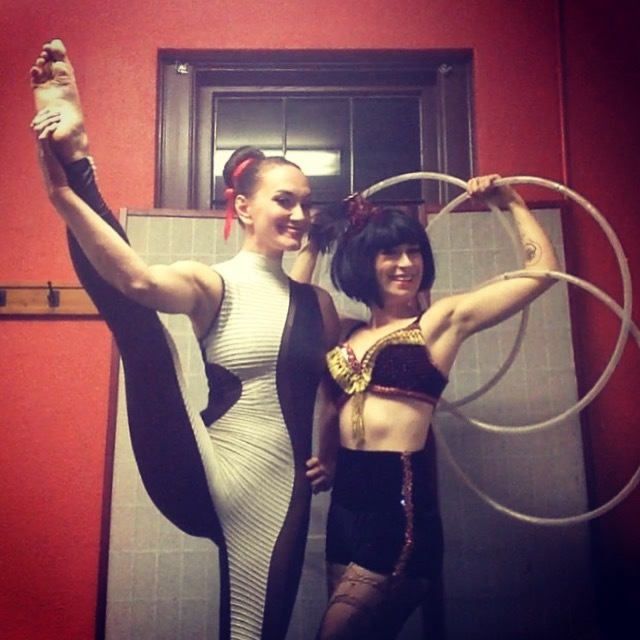 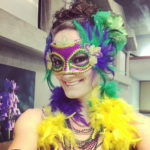 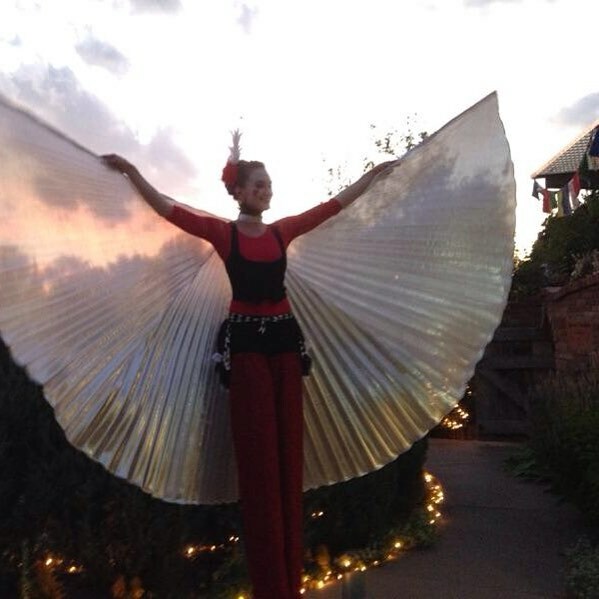 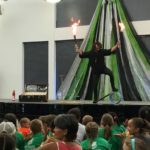 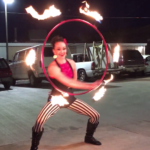 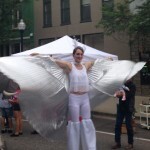 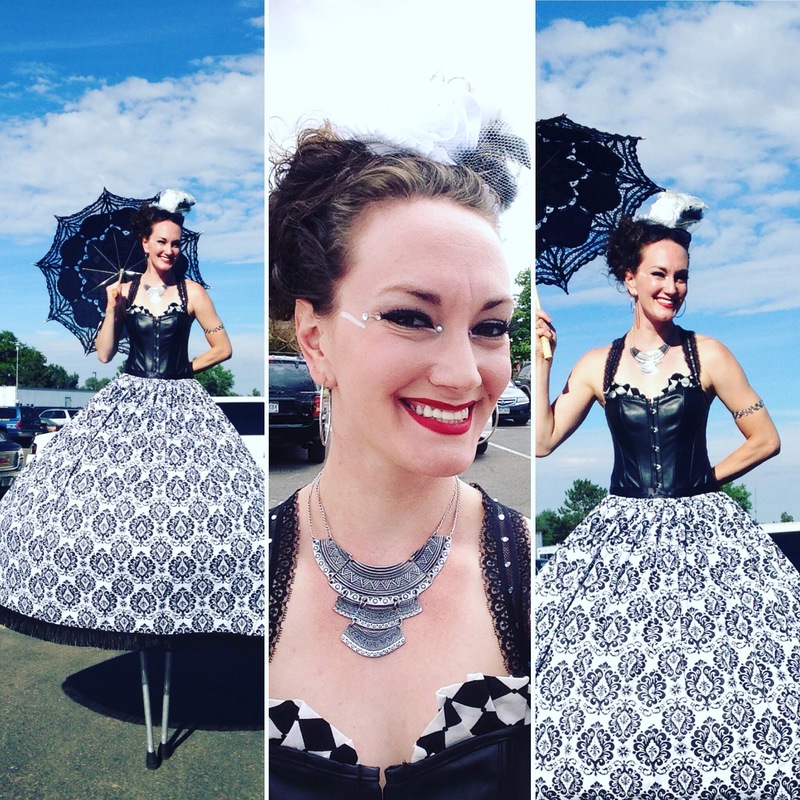 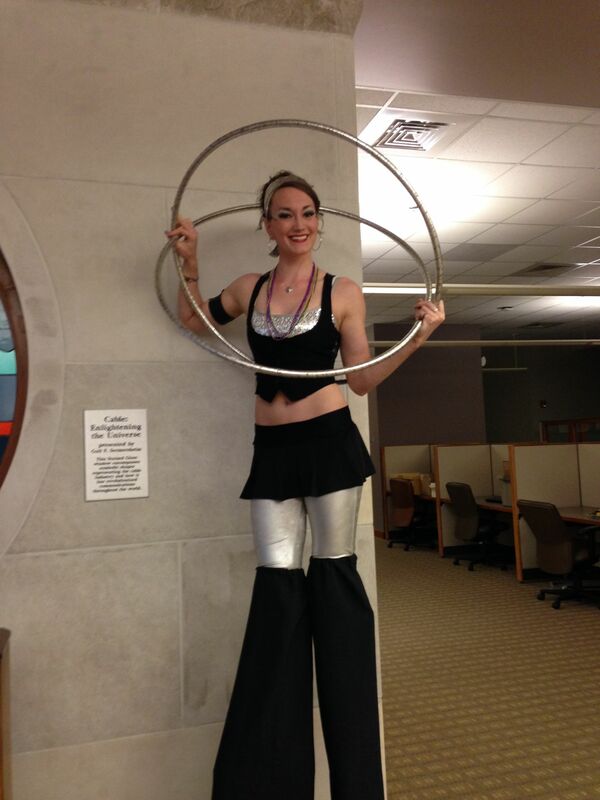 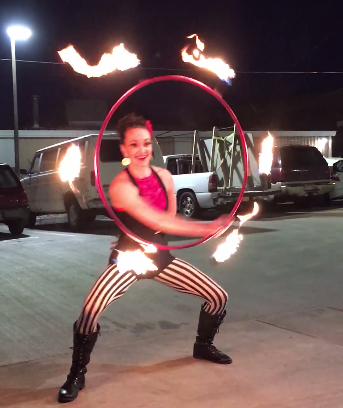 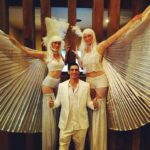 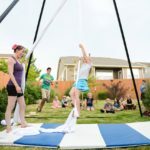 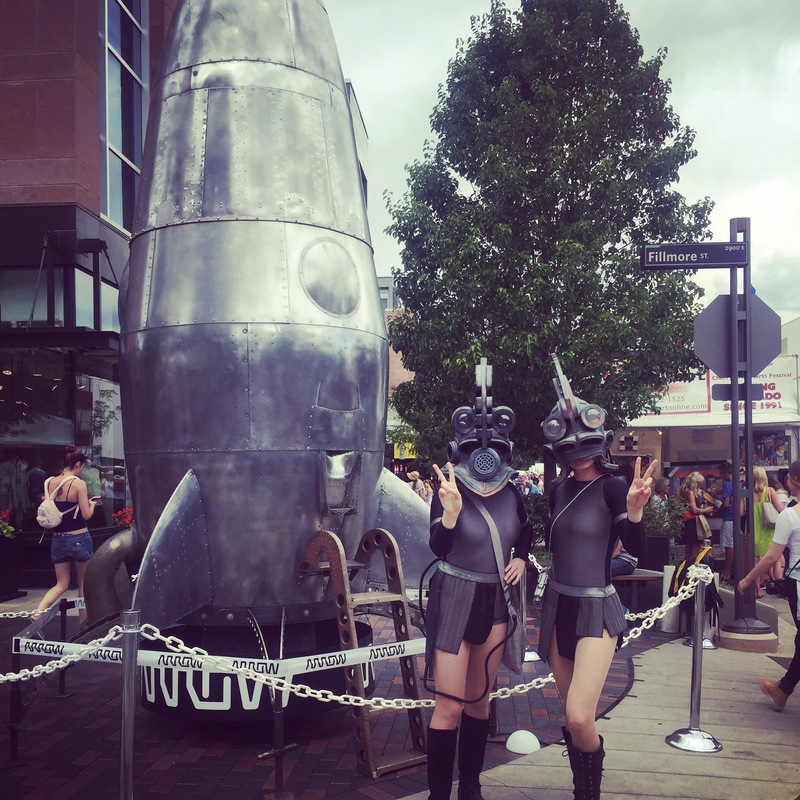 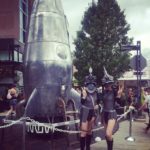 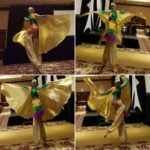 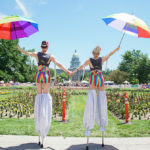 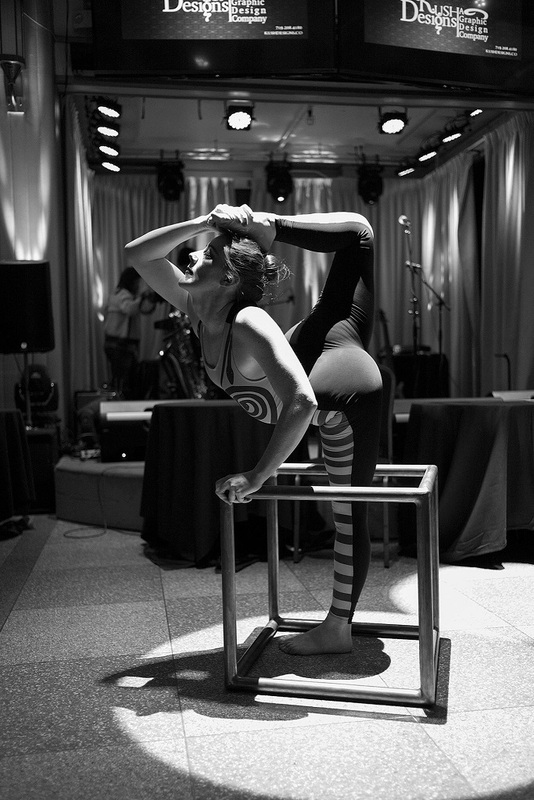 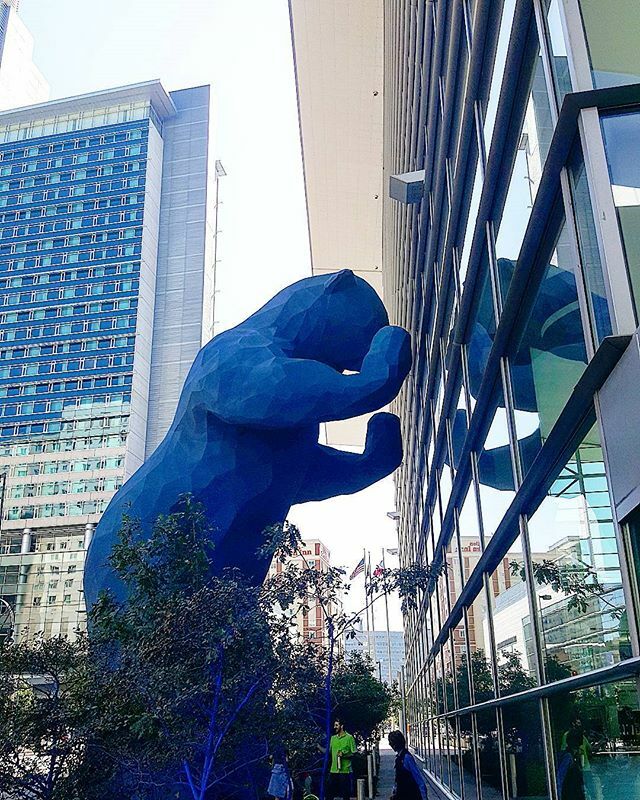 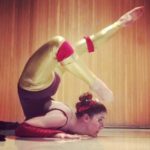 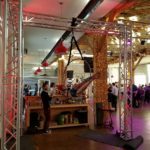 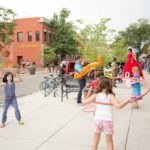 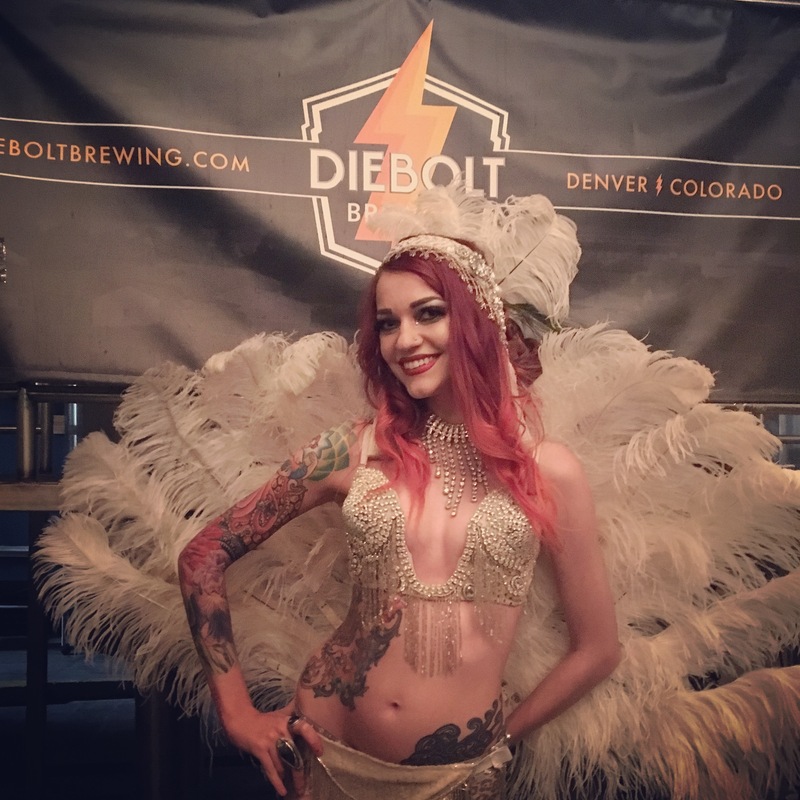 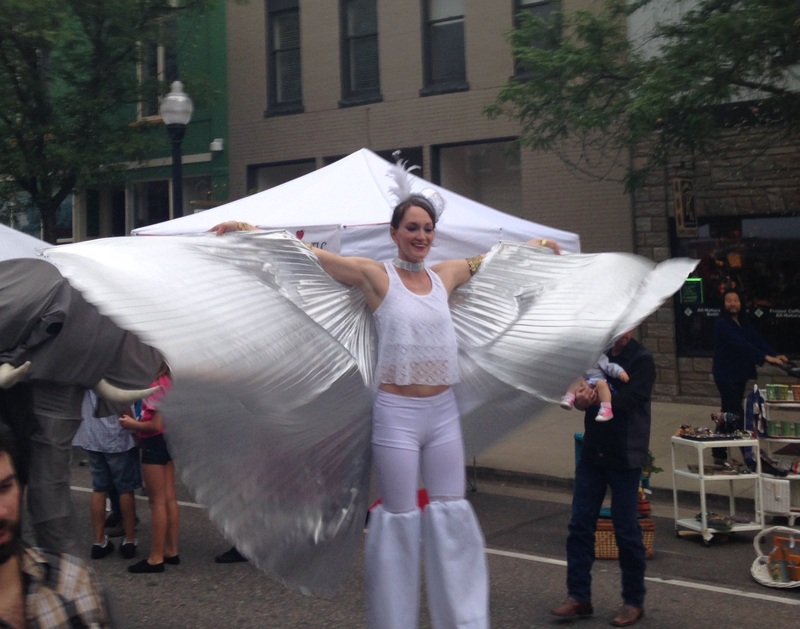 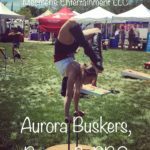 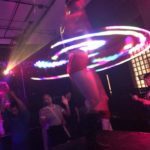 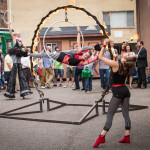 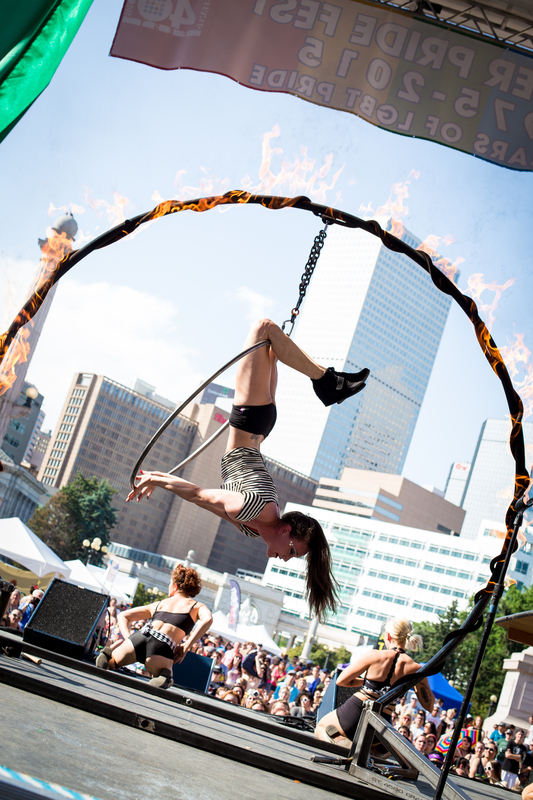 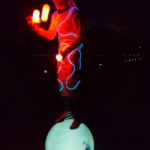 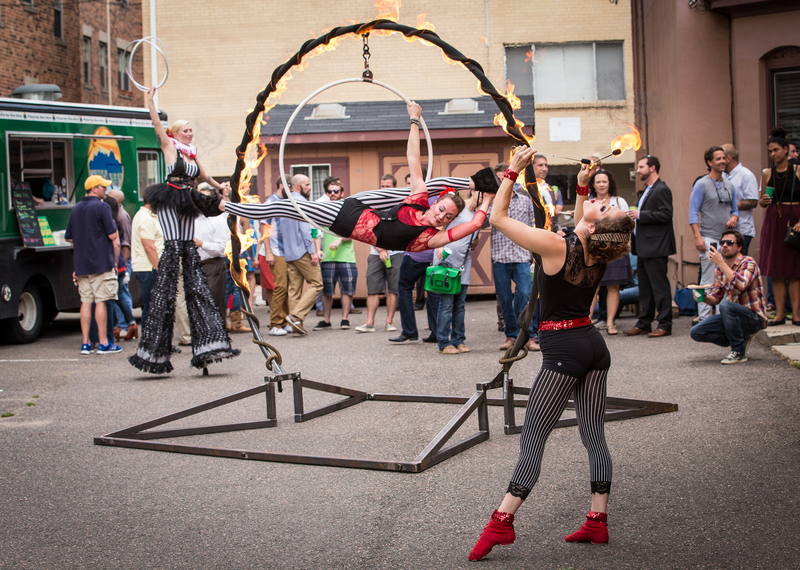 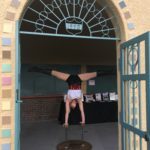 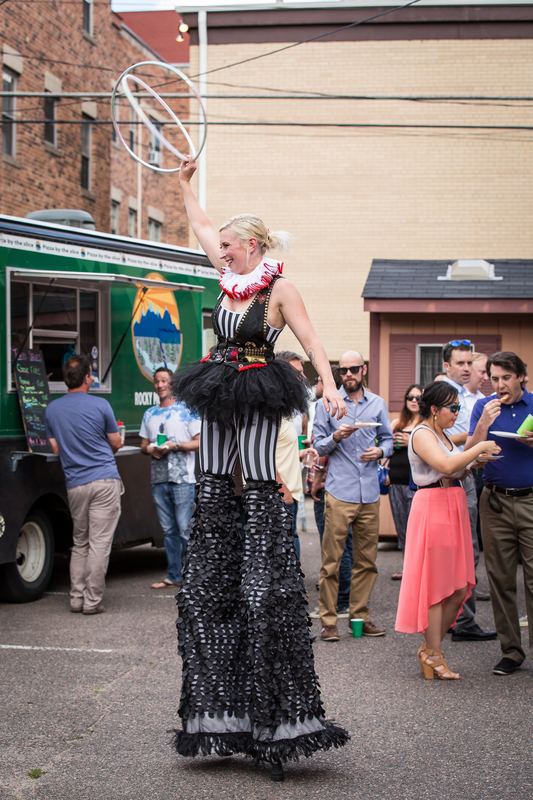 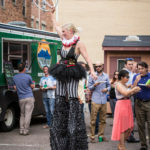 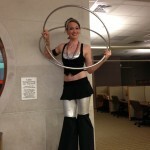 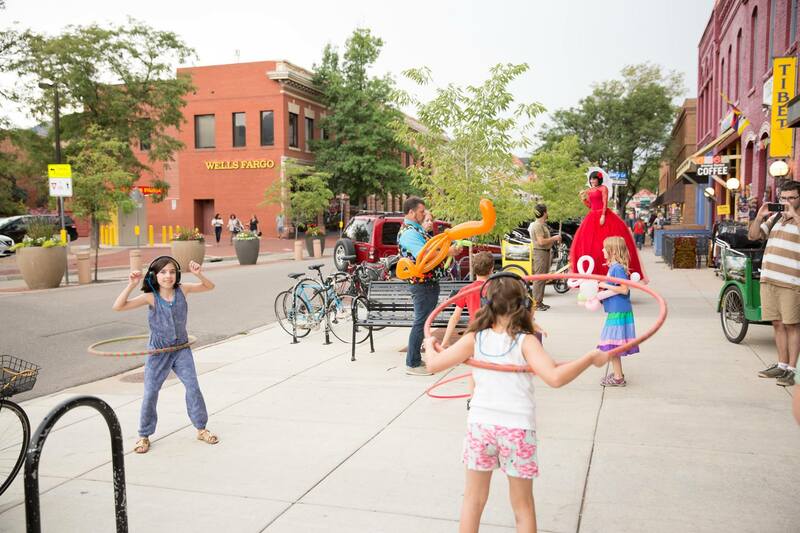 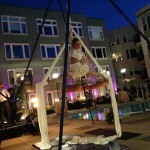 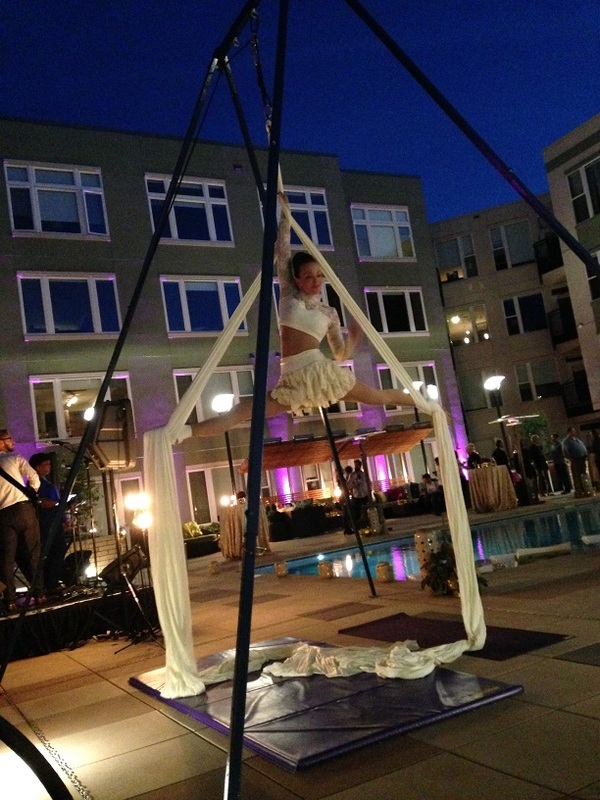 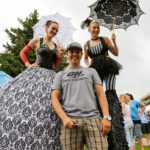 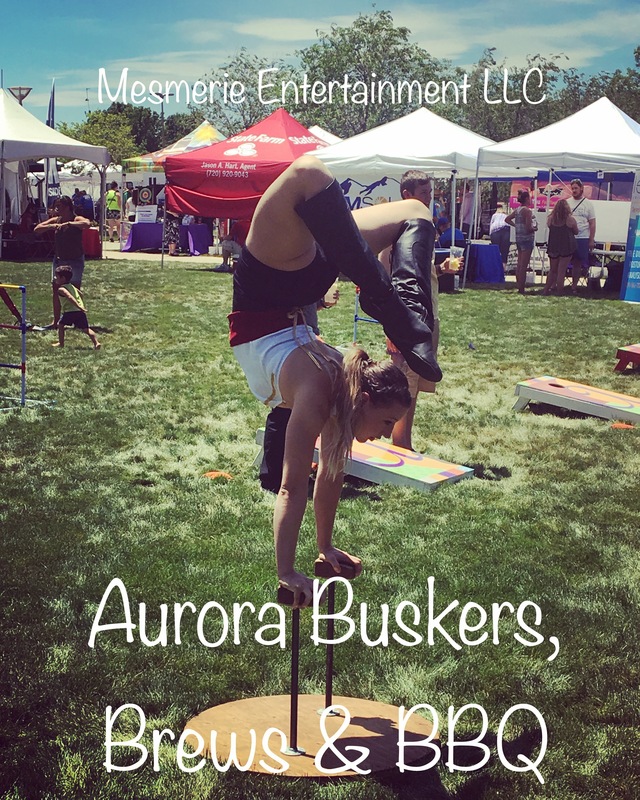 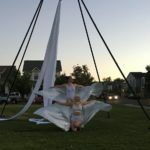 7/16/2015 5th Anniversary Party Vicente Sederberg Law Office - Denver, CO Katie Mesmerie performed with two members of Kaleidoscope Circus Arts to bring the Rig of Fire, aerial lyra, fire eating, hand balancing canes, stilt walking, and hula hooping to this fun anniversary event. 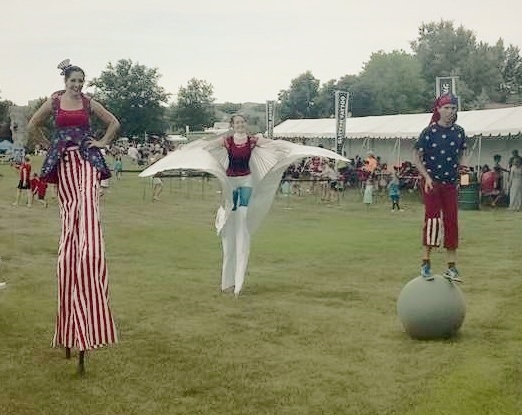 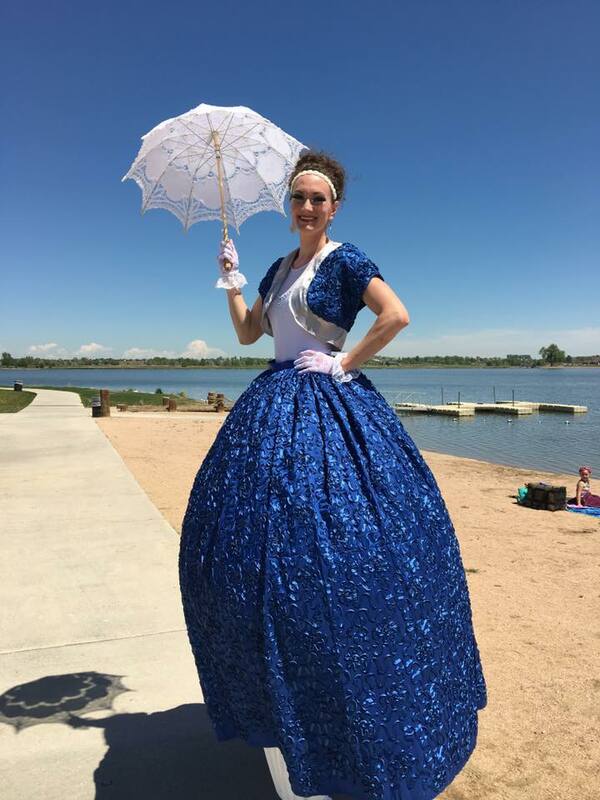 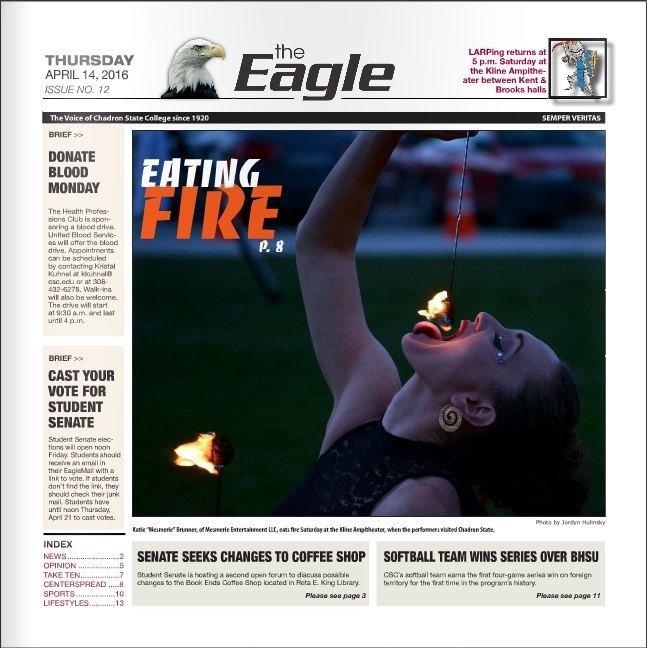 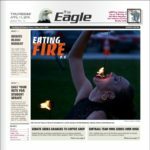 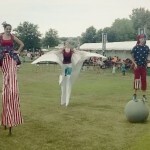 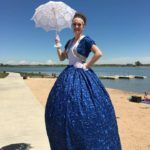 7/4/2015 City of Lonetree 4th of July Celebration Sweetwater Park - Lonetree, CO Katie Mesmerie taught youth hula hoop workshops throughout the day and performed aerial fabric and fire hoop as part of an ensemble to celebrate the 4th of July. 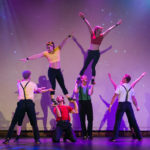 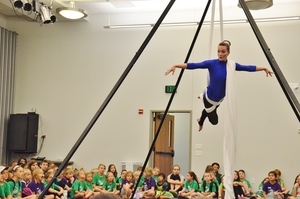 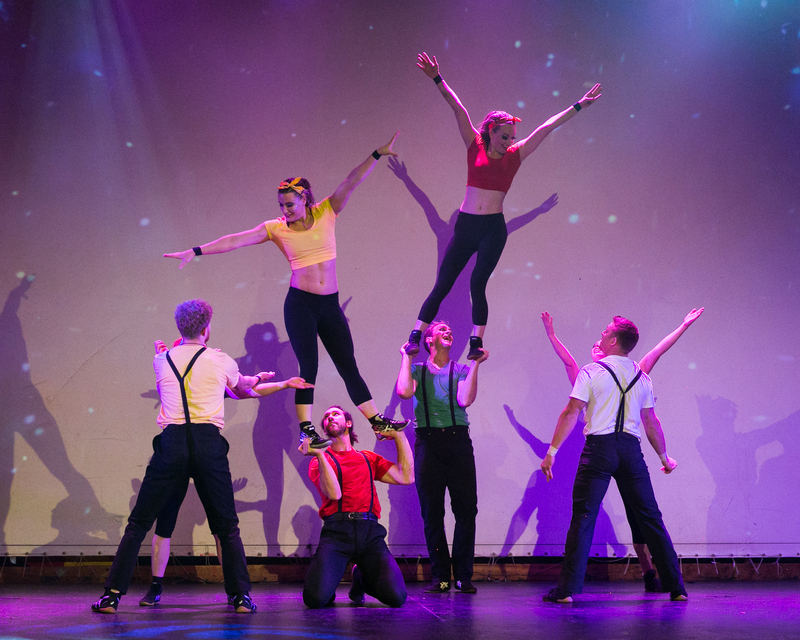 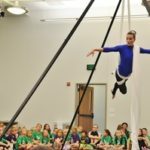 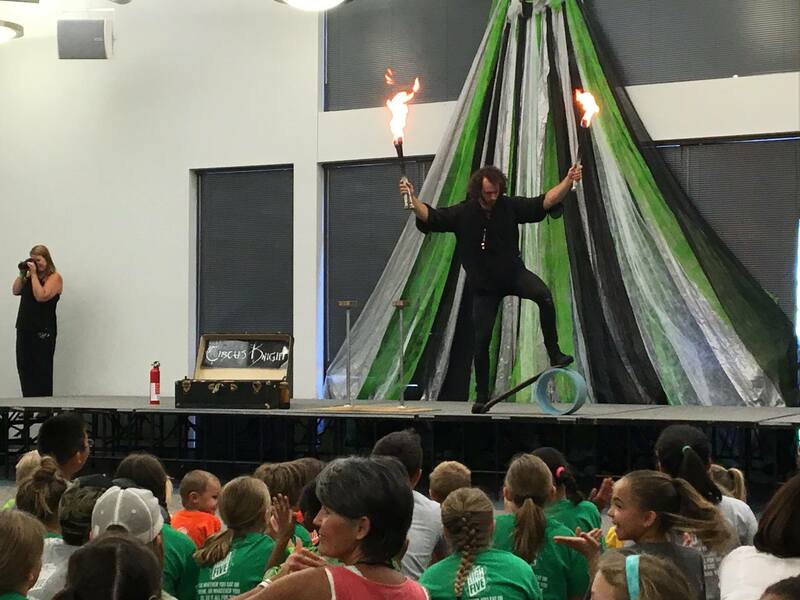 6/26/2015 Summer School Entertainment Redstone Elementary - Highlands Ranch, CO Katie Mesmerie performed as part of an ensemble to showcase circus arts for the Redstone Elementary summer school entertainment program. 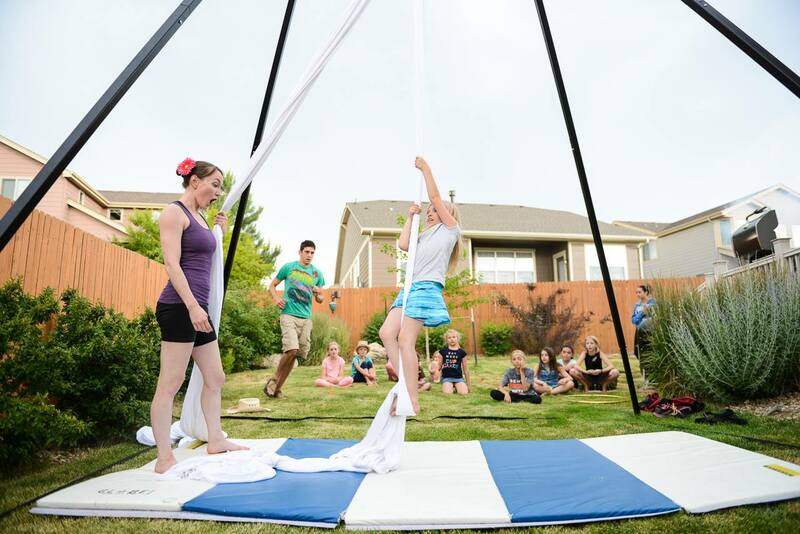 Juggling, stilt walking, hula hoop performance, and a group hula hoop class with games captivated this youthful audience. 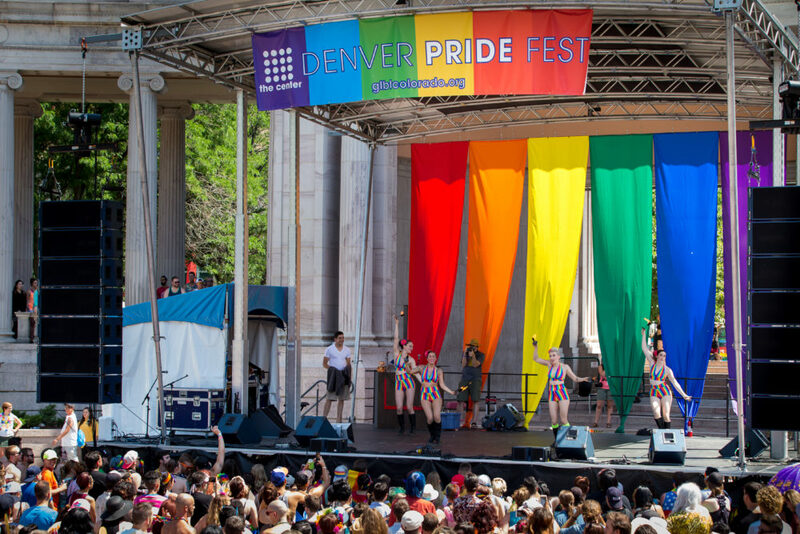 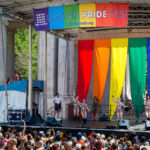 6/19/2015 DragNation - Pangea Pride Edition EXDO Events Center - Denver, CO Fire performance by Katie Mesmerie adds flair to Denver's best drag queens as they take the stage for the annual PrideFest edition of DragNation! 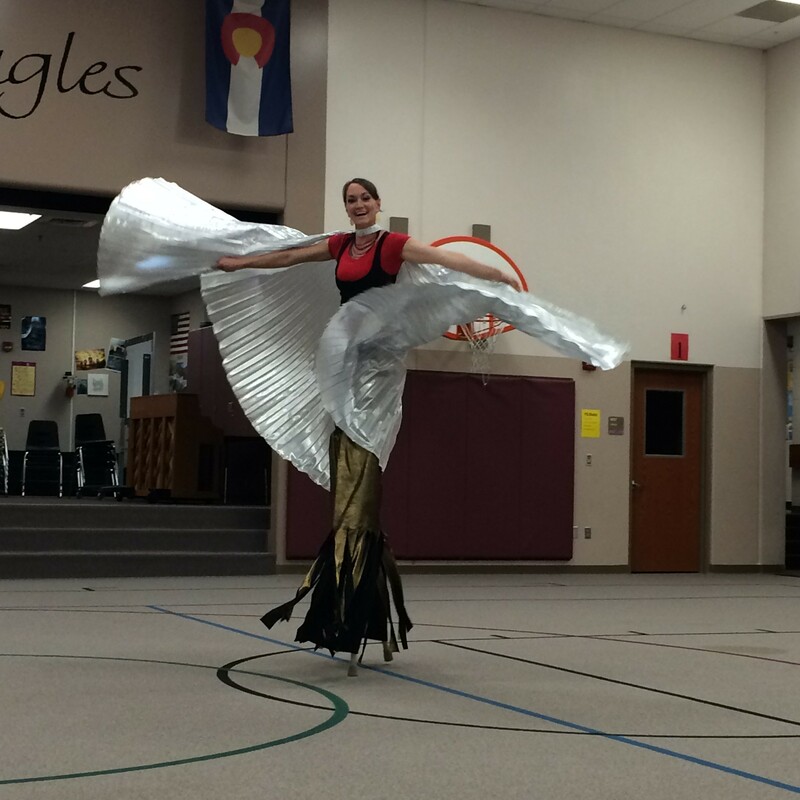 Special thanks to Marguerite Endsley and the DenverDance troupe. 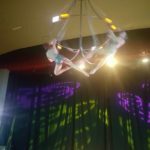 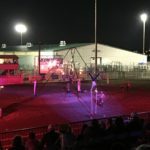 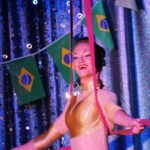 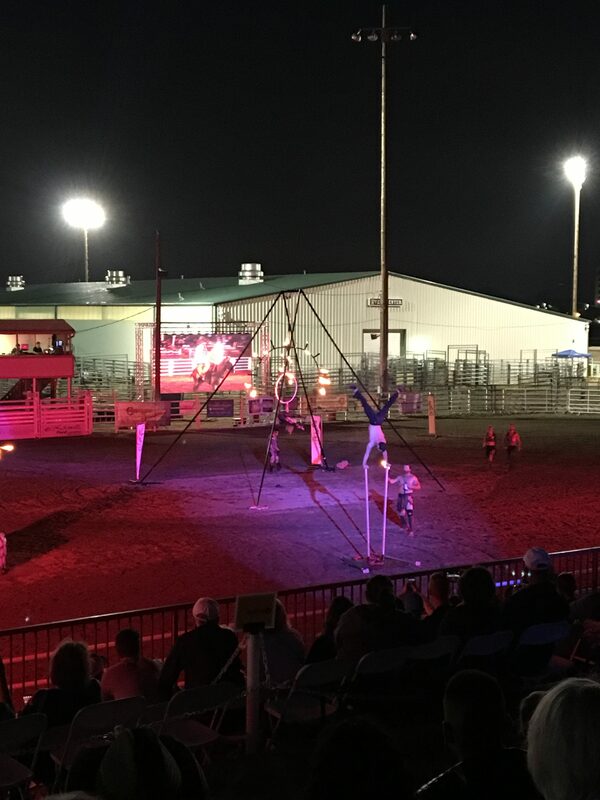 1/13 - 2/2/2015 South Florida Fair South Florida Fairgrounds - West Palm Beach, FL Katie Mesmerie performed five shows a day every day for this month-long contract with Brown Entertainment, providing 40-foot-high aerial lyra and straps acts "Viva Las Vegas!"